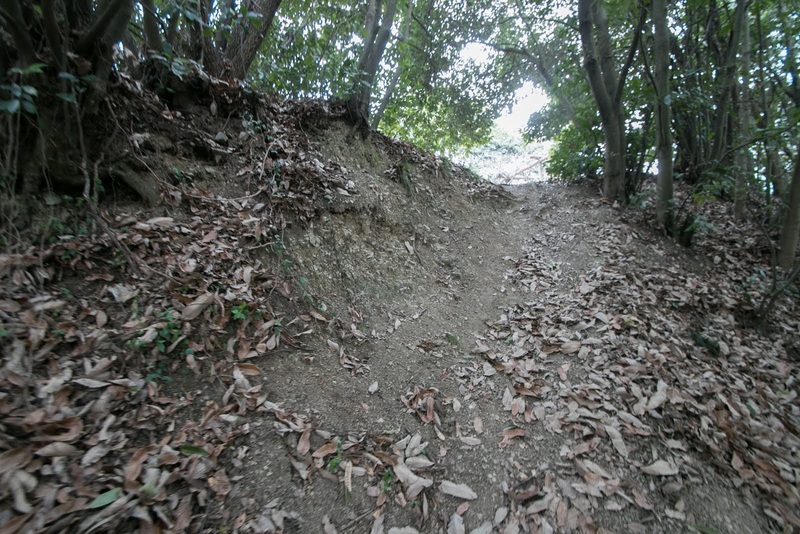 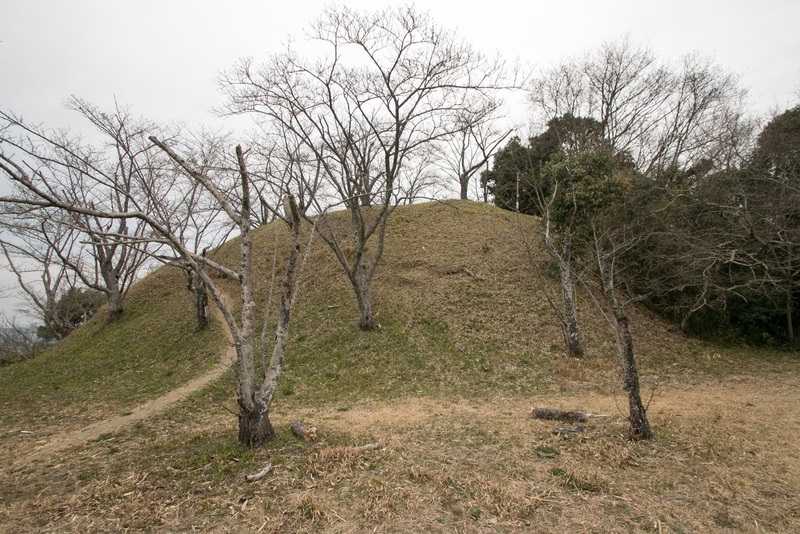 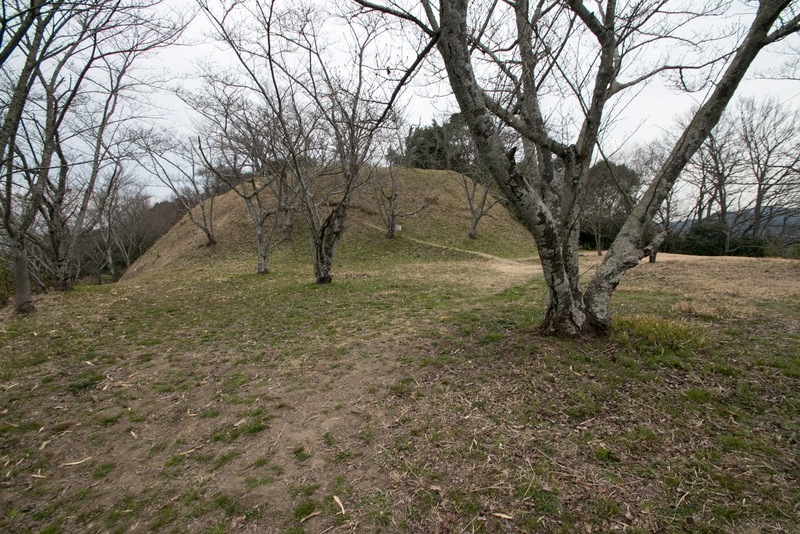 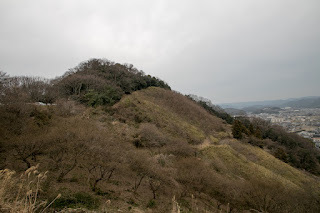 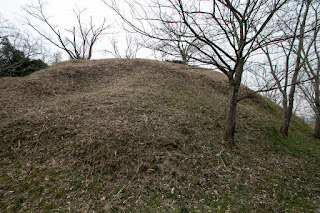 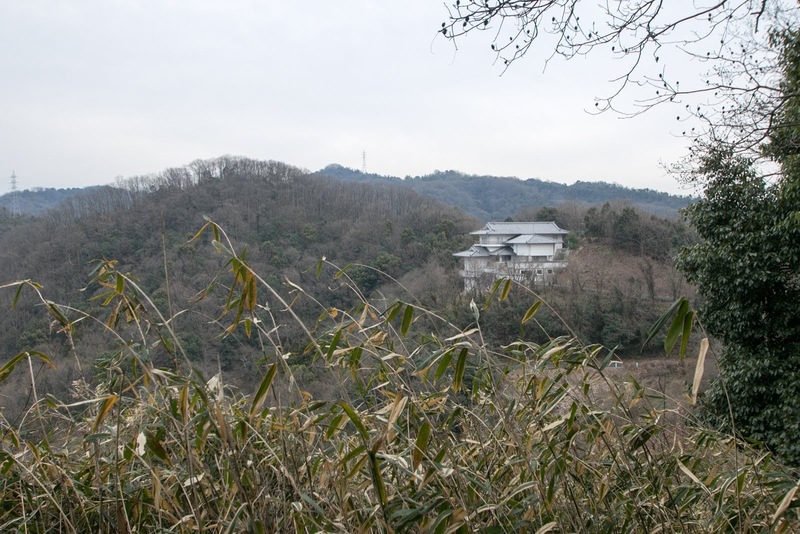 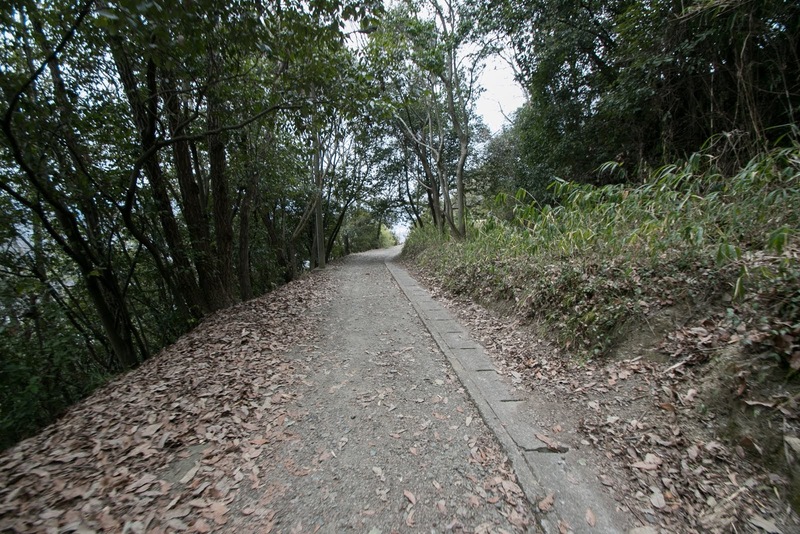 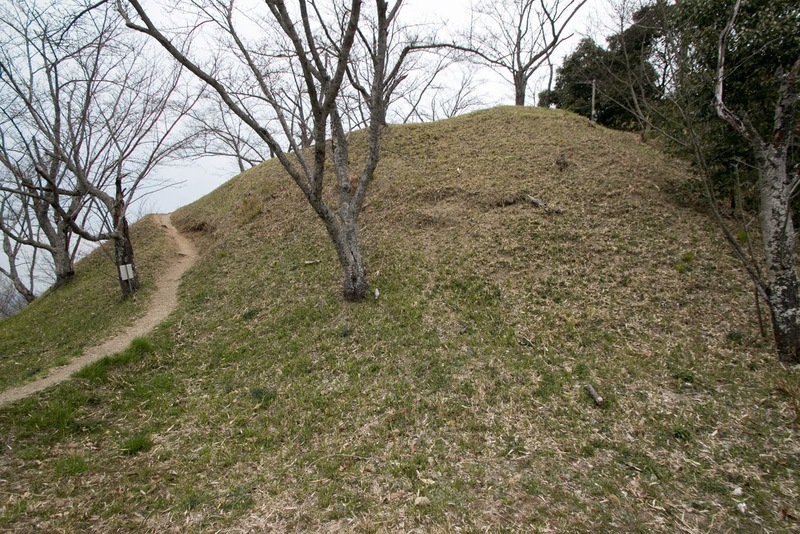 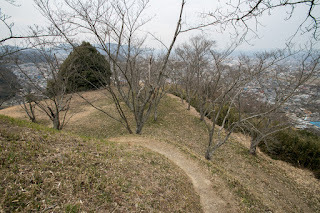 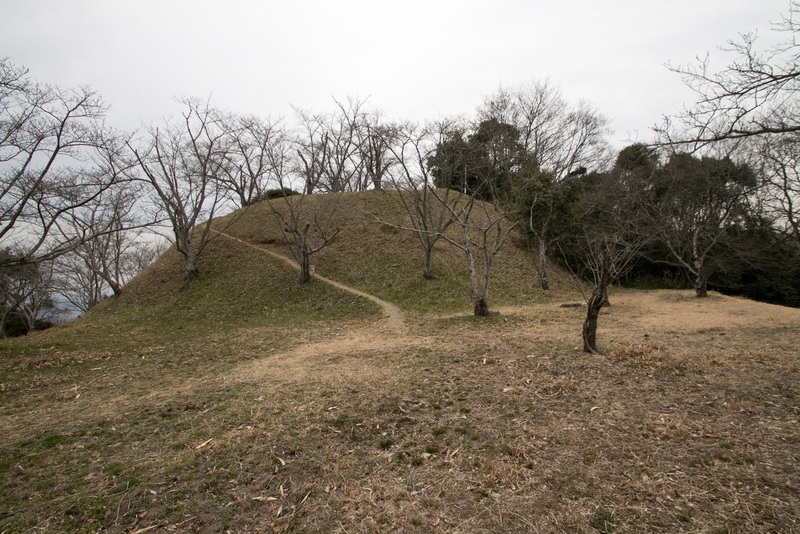 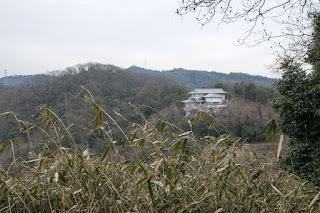 Kannabe castle (神辺城) is located at Koyosan mountain, one of about 150 meter height at the southeast edge of Kannabe plain, a small basin stands at the north part of Fukuyama city. Because of this geographical condition, historically Kannabe area had been used as a communication route of east and westward. 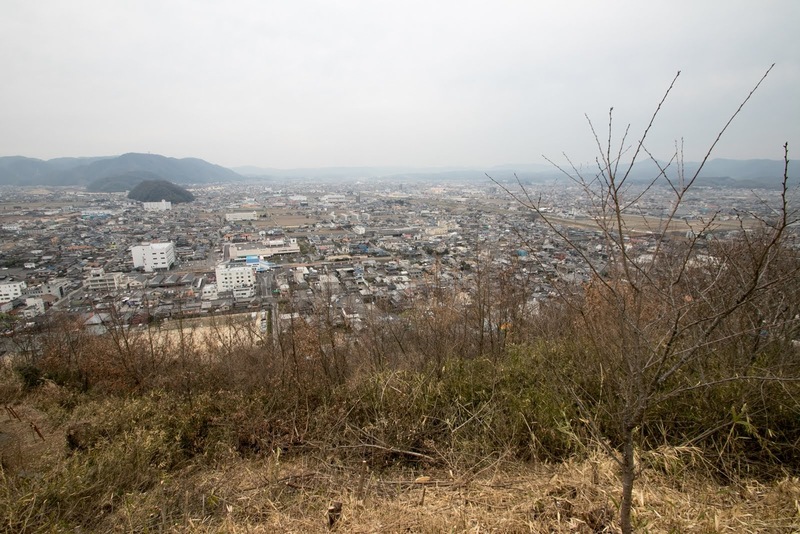 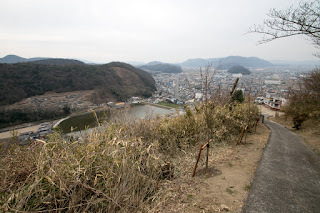 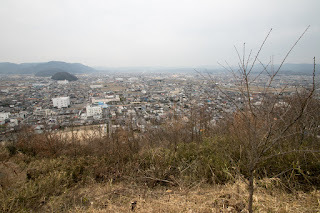 Formerly current central area of Fukuyama city was a vast tidal flats, and Sanyodo road which was a main route of western Japan connected Kyoto city and Hakata port passed Kannabe area, turned to the coast then run toward Hiroshima area. 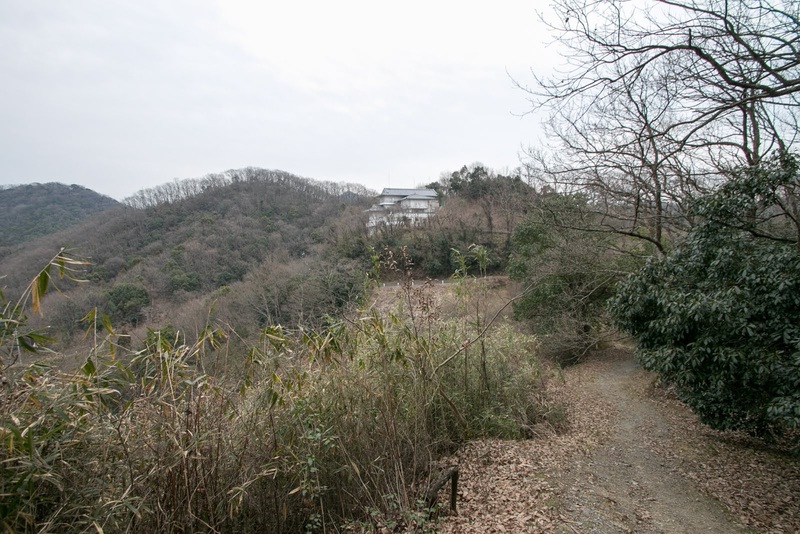 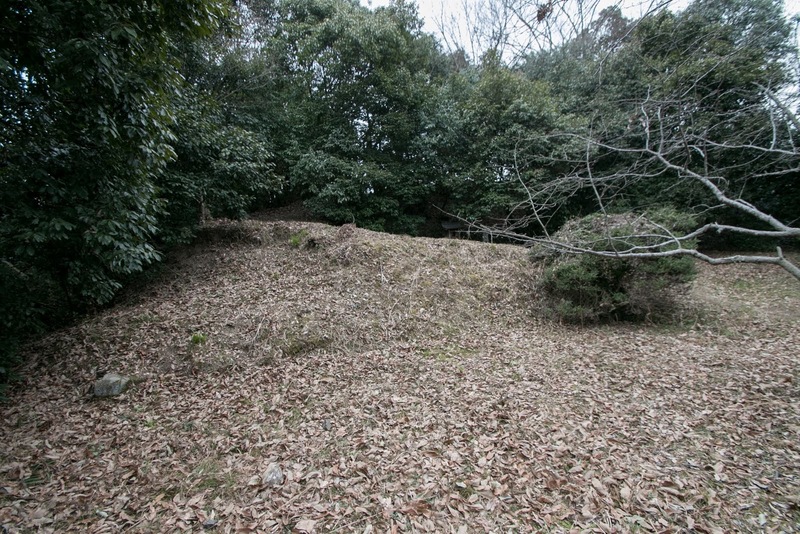 Precise year is unknown but Kannabe castle might be built by Asayama clan which was appointed as the governor of Bingo province at the beginning of Muromachi Era in 1335. But later Asayama clan returned to their original territory at Izumo province (Shimane prefecture), and Yamana clan which was the relative of Ashikaga clan, the house of Shogun. 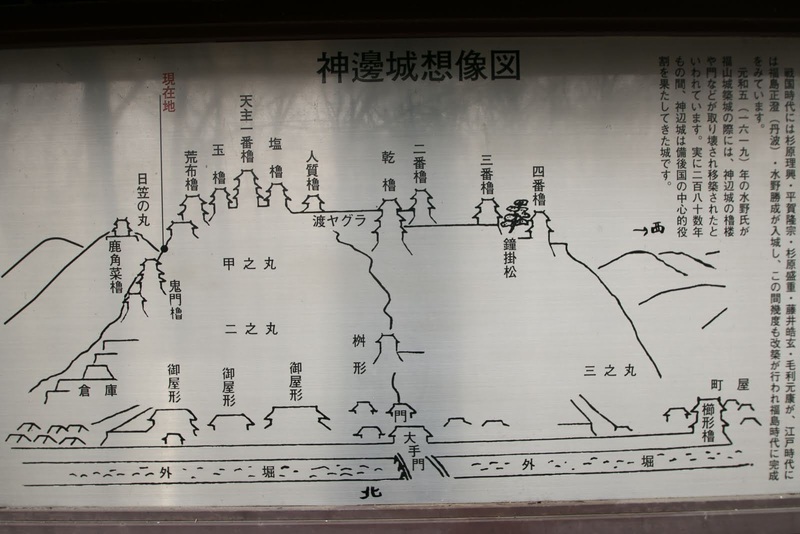 Yamana clan once seized governor position of eleven provinces and called as the lord of one-sixth of Japan, but was subjugated by Shogunate in 1390 and lost many territories. But later the clan activated at the campaign against Akamatsu clan which assassinated sixth Shogun Yoshinori Ashikaga (1394-1441), and gained former Akamatsu territory and retrieved former power. At the battle of Onin from 1467 to 1477, Sozen Yamana (1407-1473), the leader of Yamana clan, became the leader of Western army and fought against Katsumoto Hosokawa (1430-1473) with over 100,000 soldiers. 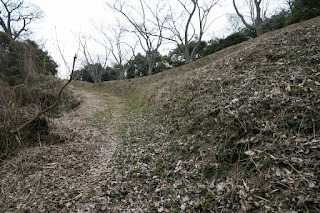 The battle lazily continued for 10 years, and finished without clear settlement by the death of Sozen and Katsumoto. 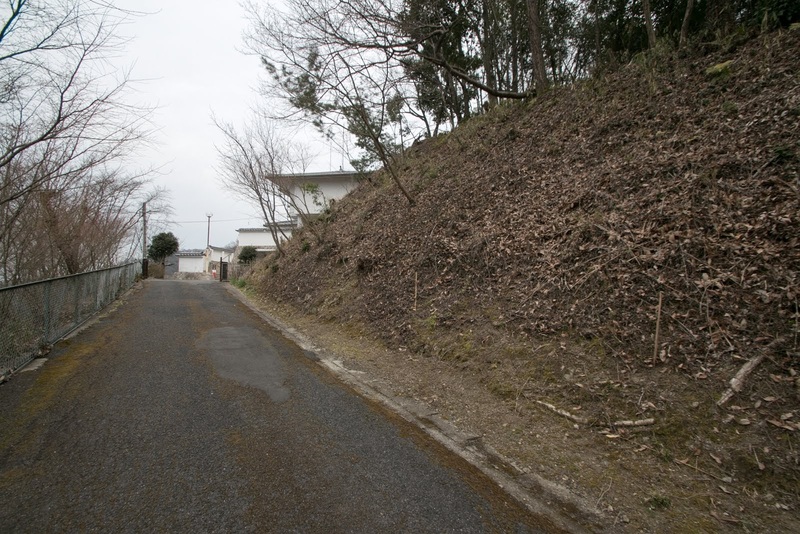 Long campaign and absence from territory evoked dissatisfaction of local retainers. 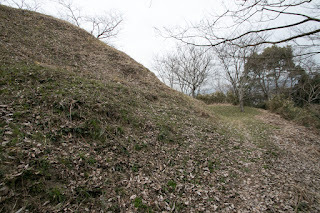 Yamana clan had to fight against Akamatsu clan which was sent from Hosokawa clan and tried to recover former territory, and after the fierce battle Yamana clan lost the territory of Harima province (Hyogo prefecture) and Bizen province (south part of Okayama prefecture). 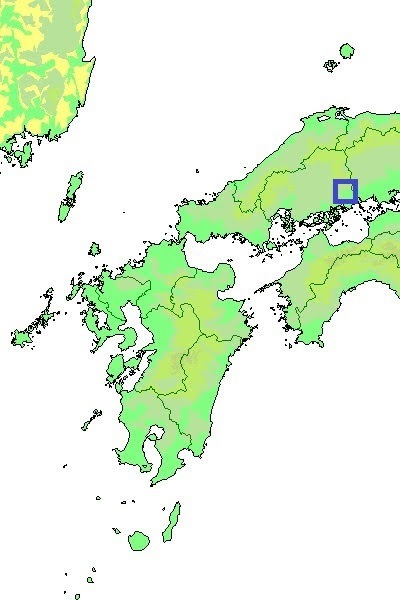 Bingo province was still kept by the tributary of Yamana clan, but being separated from its main family at Inaba province (Tottori prefecture) and Tajima province (north part of Hyogo prefecture), Yamana family at Bingo province fell into a small lord strongly affected by other local lords and surrounding warlords. 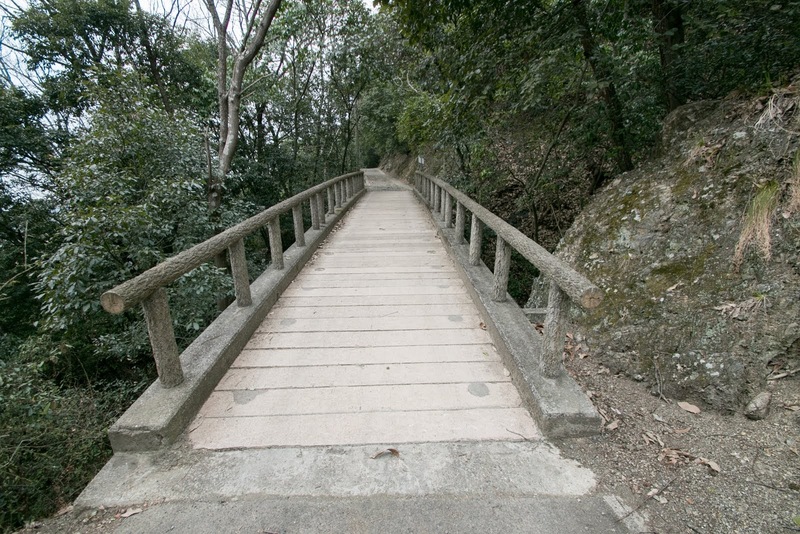 On and after the beginning of 16th century, the power of Yamana clan significantly declined, and Bingo province became the target of struggle by Ouchi clan, the powerful warlord of Suo province (Yamaguchi prefecture) which had a territory at Aki province (Hiroshima prefecture), and Amago clan, another strong warlord of Izumo province (Shimane prefecture), which tried to proceed into Sanyo region from Sanin region. In the beginning of 16th century, Tadaoki Yamana (?-?, also called as Tadaoki Sugihara), it is not clear from Yamana clan or other clan, became the lord of Kannabe castle. 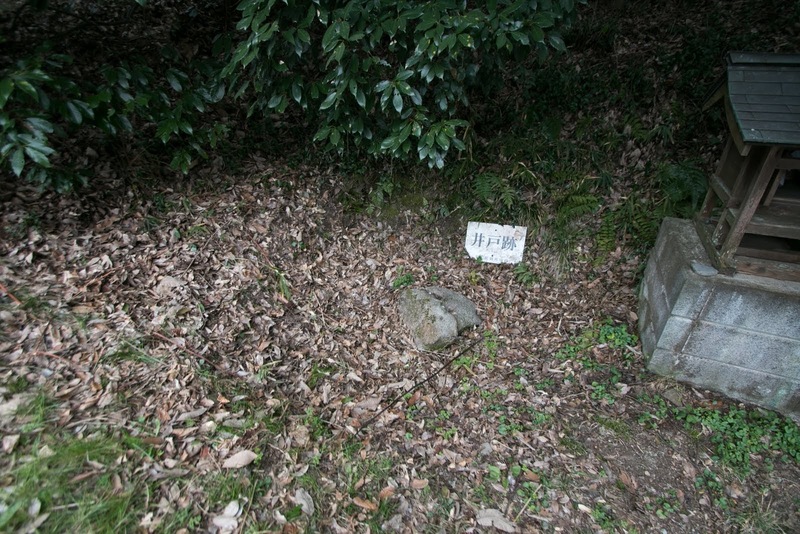 Tadaoki once belonged to Ouchi clan but turned to Amago clan in 1543. 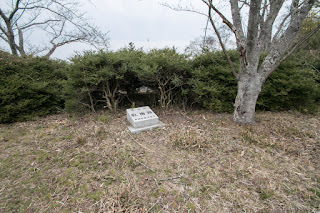 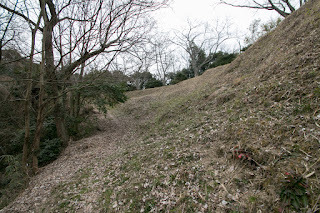 Under the support of Amago clan, Tadaoki attacked Kobayakawa clan which was confused by its internal conflict, but this attack was rejected by alliance of Ouchi army and Motonari Mouri (1497-1571) who sent his third son Takakage Kobayakawa (1533-1597) as the leader of Kobayakawa clan. 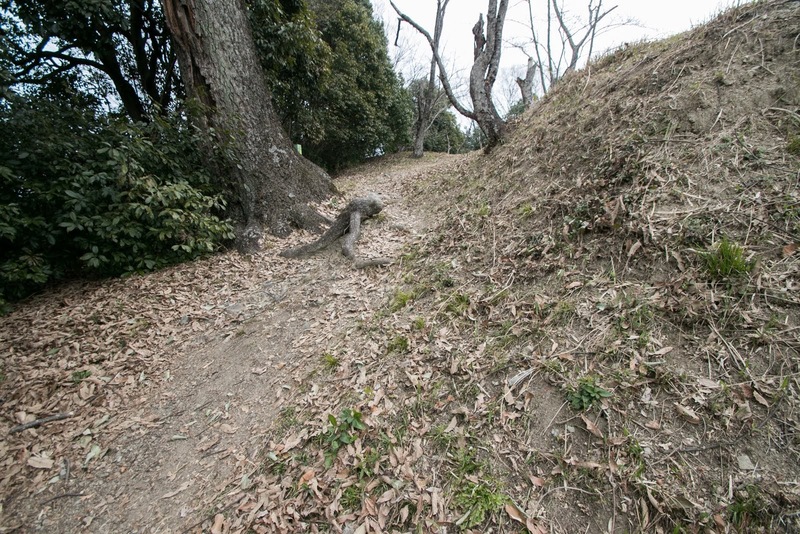 In response to this, Ouchi clan sent their own army and Motonari Mouri to Kannabe castle to ruin Tadaoki Yamana. 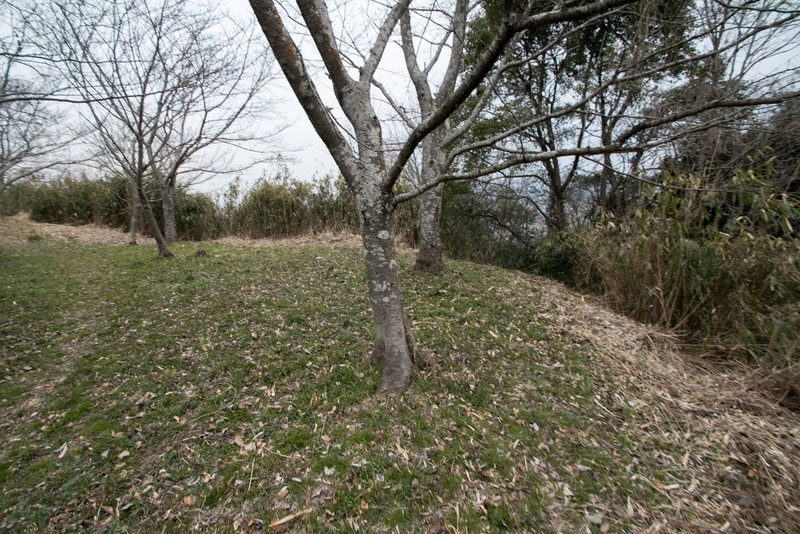 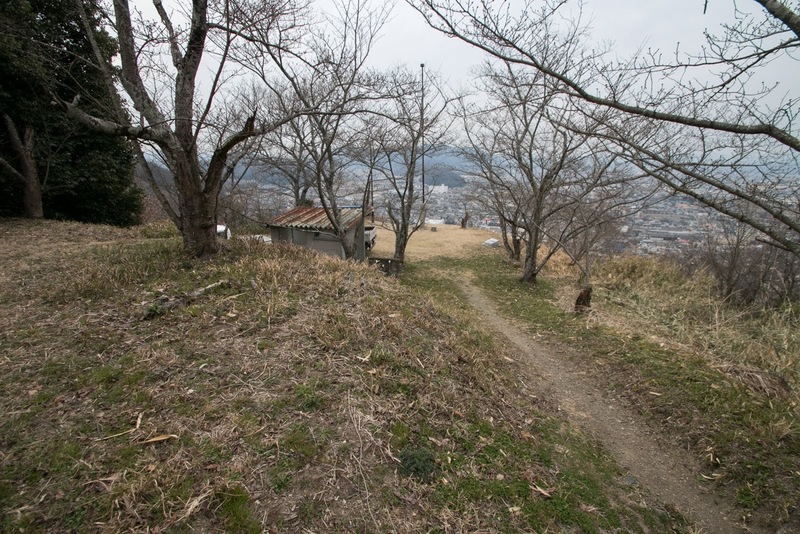 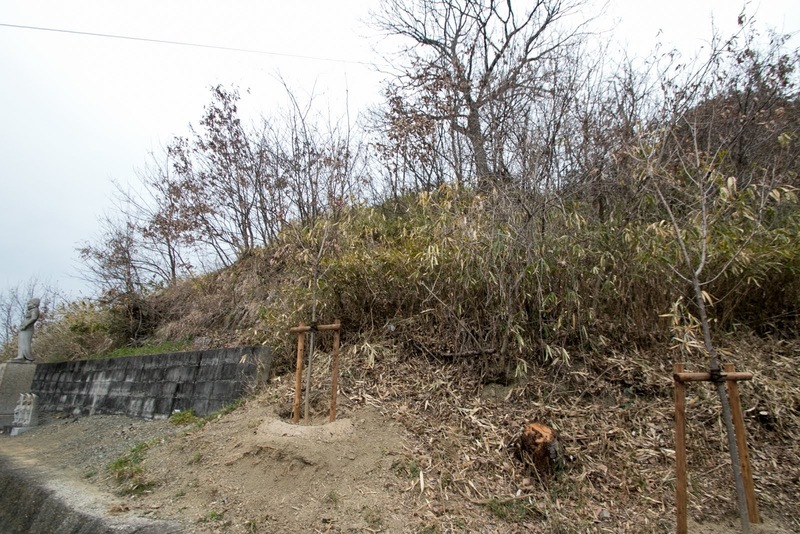 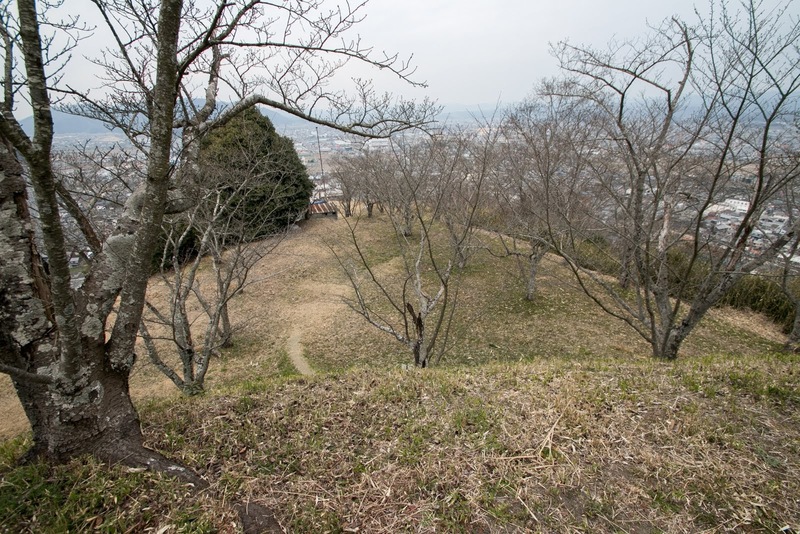 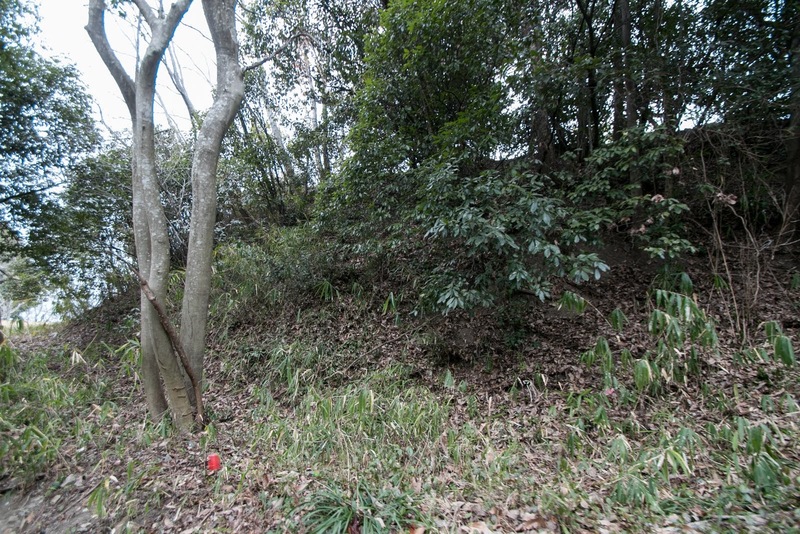 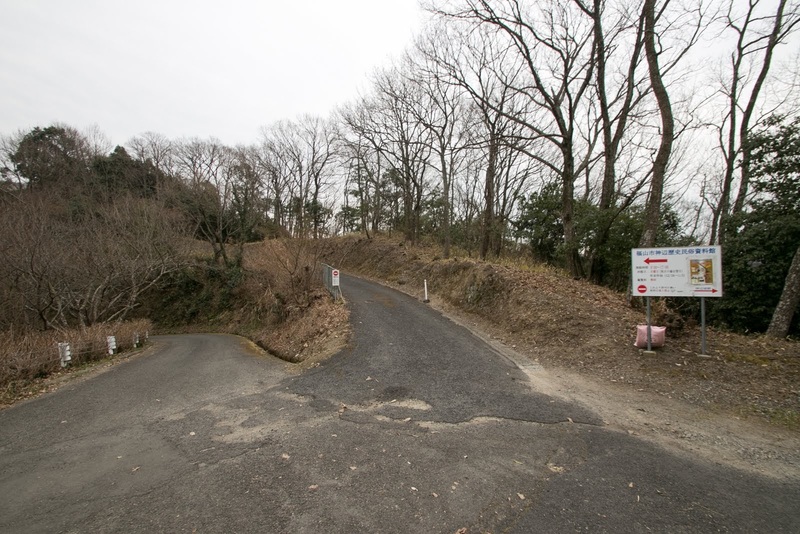 Ouchi army encircled Kannabe castle, and Tadaoki asked reinforcement to Amago clan. 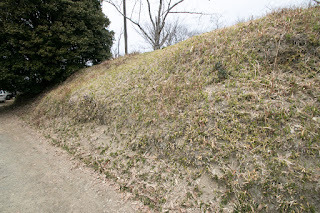 To protect their important base at Sanyo region, Amago clan sent their army again and again, but Motonari Mouri broke this reinforcement. 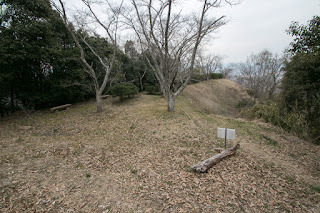 On the other hand, under inferior situation, Tadaoki Yamana tenaciously protected Kannabe castle and rejected total attack of Ouchi and Mouri army again and again. 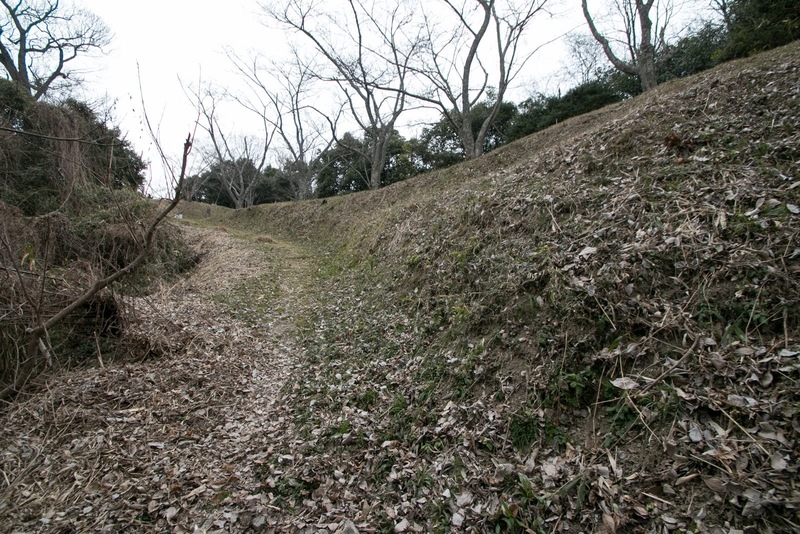 Facing strong resistance of Tadaoki, Ouchi army and Motonari changed their tactics to indirect attack. 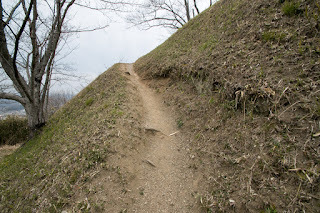 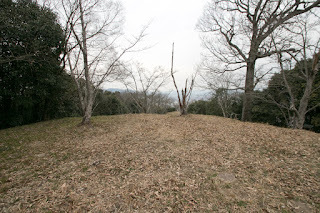 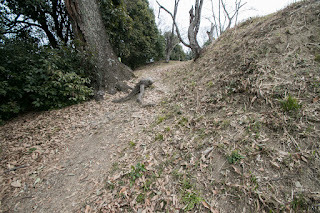 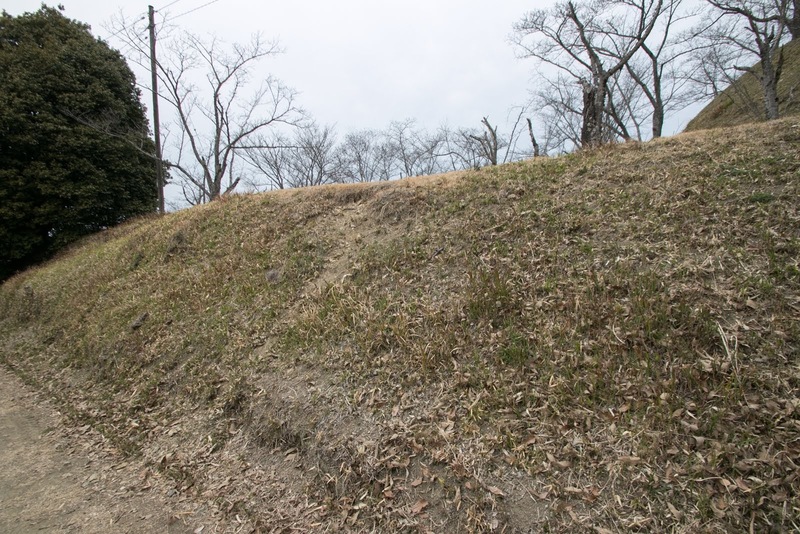 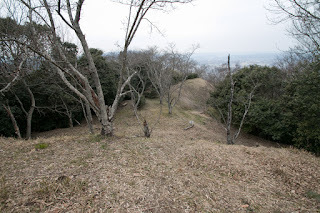 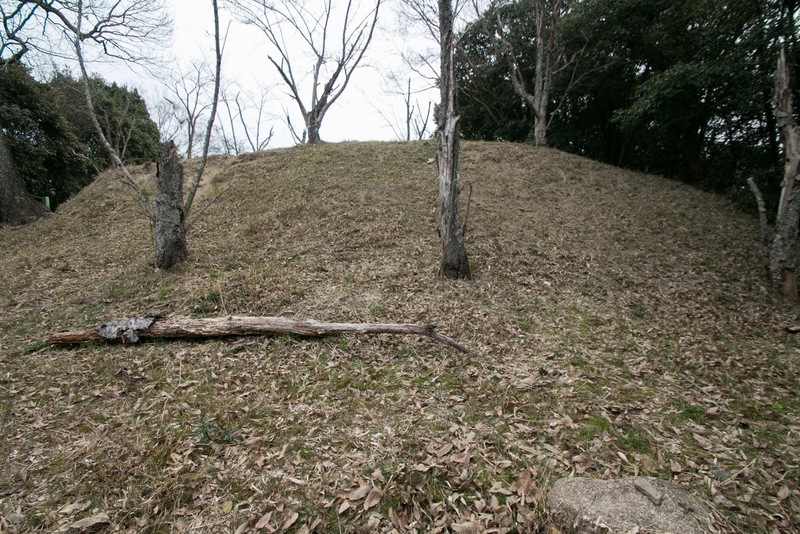 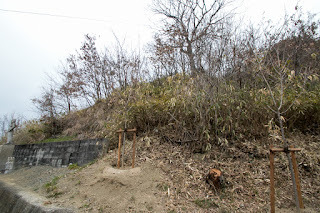 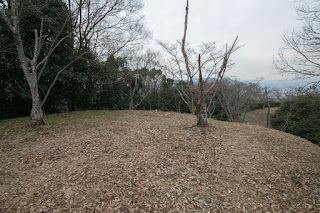 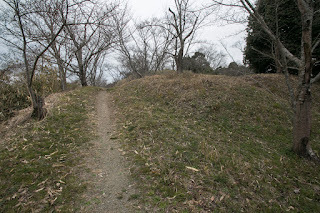 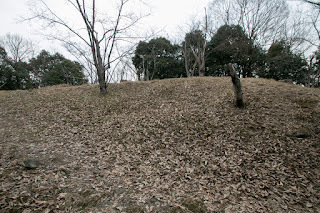 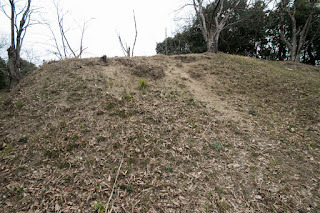 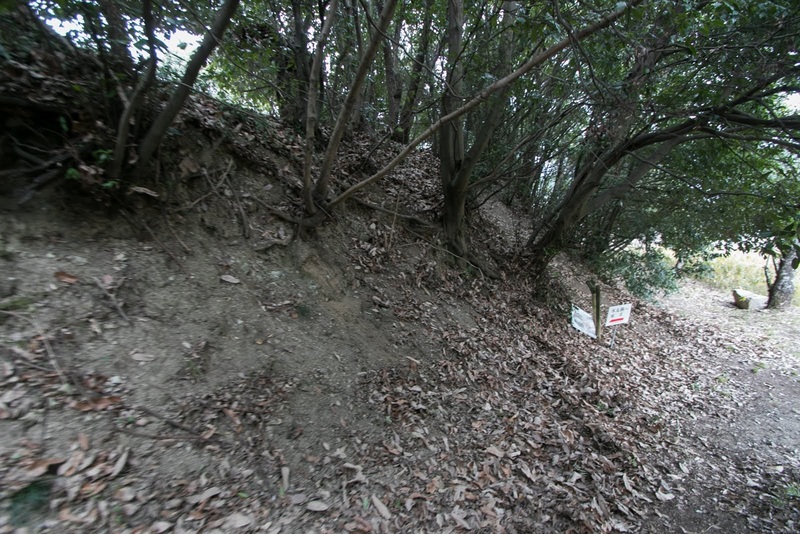 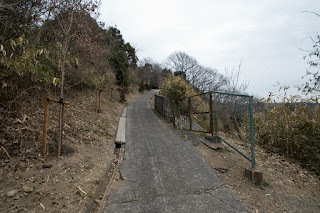 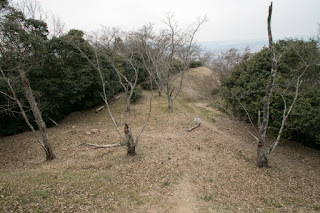 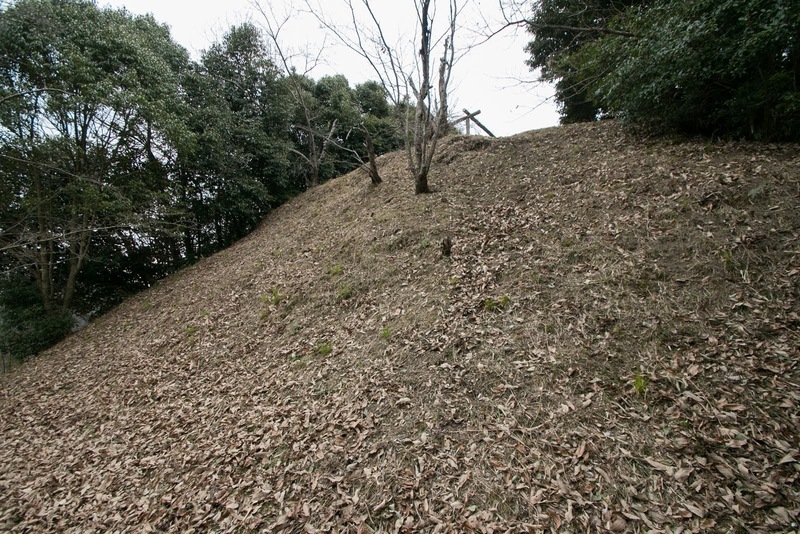 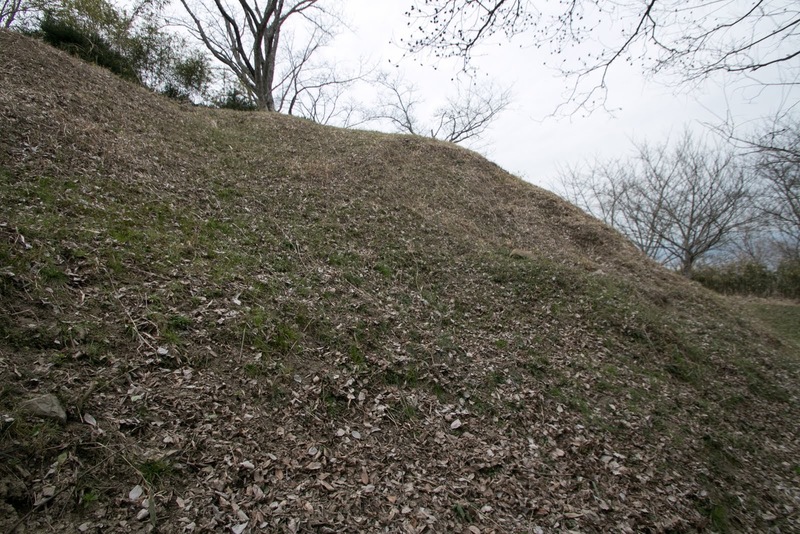 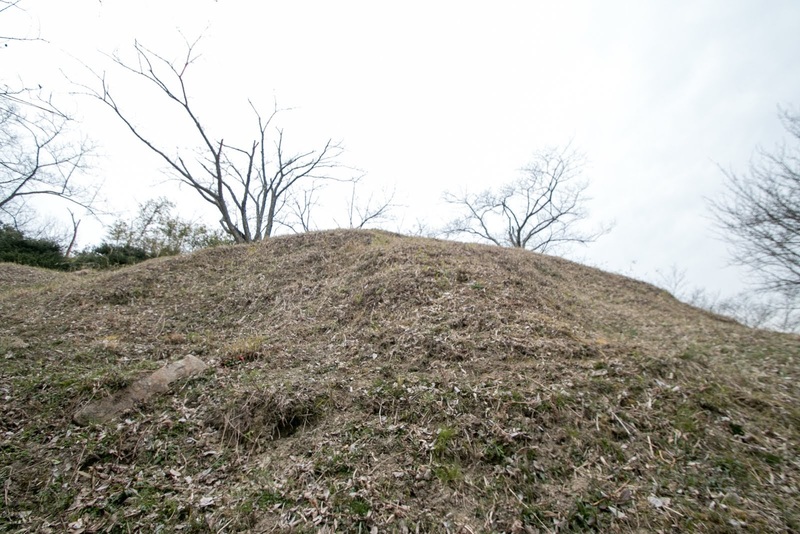 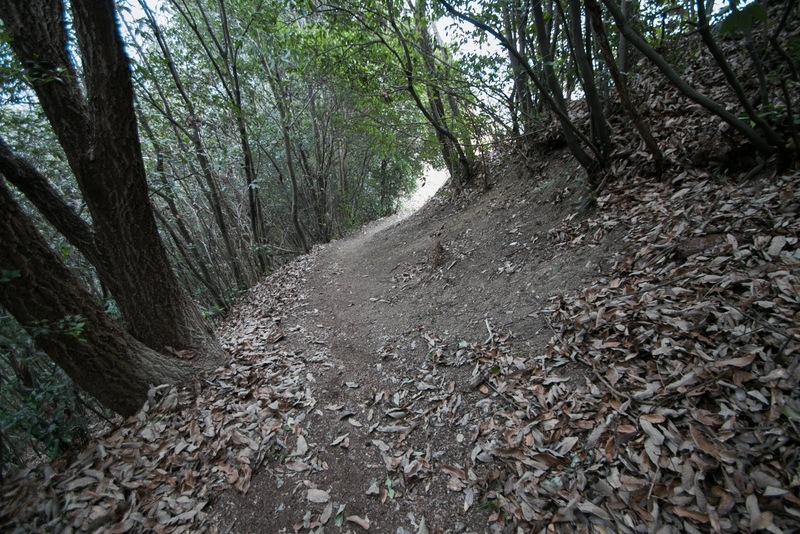 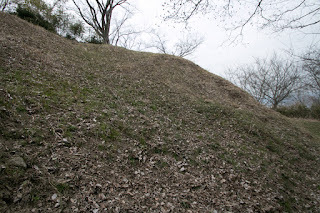 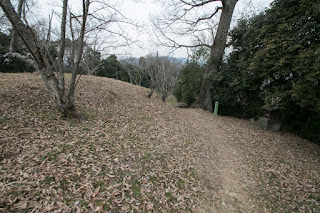 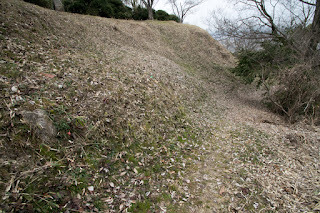 Ouchi army fell branch castles of Kannabe castle and cut the supply line of the castle. 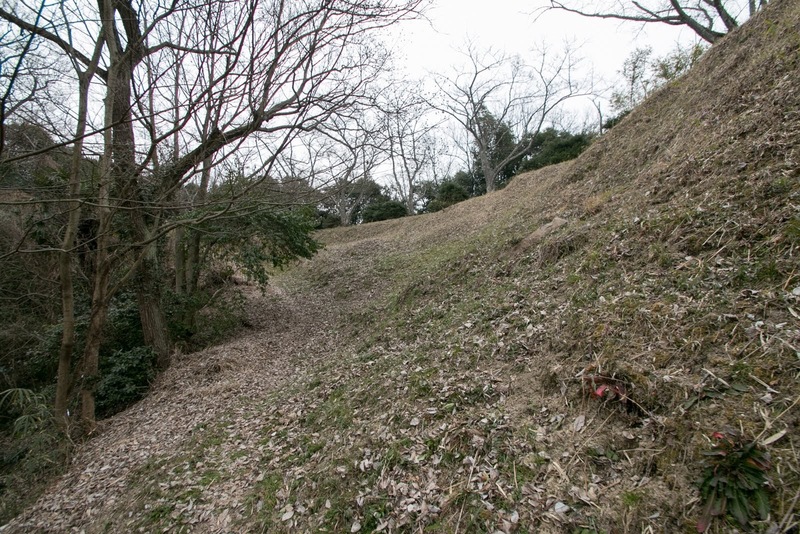 In 1547 and 1548, Ouchi army and Motonari made total attack toward Kannabe castle, but Tadaoki still protected Kannabe castle and further bear the attack in the spring of 1549. 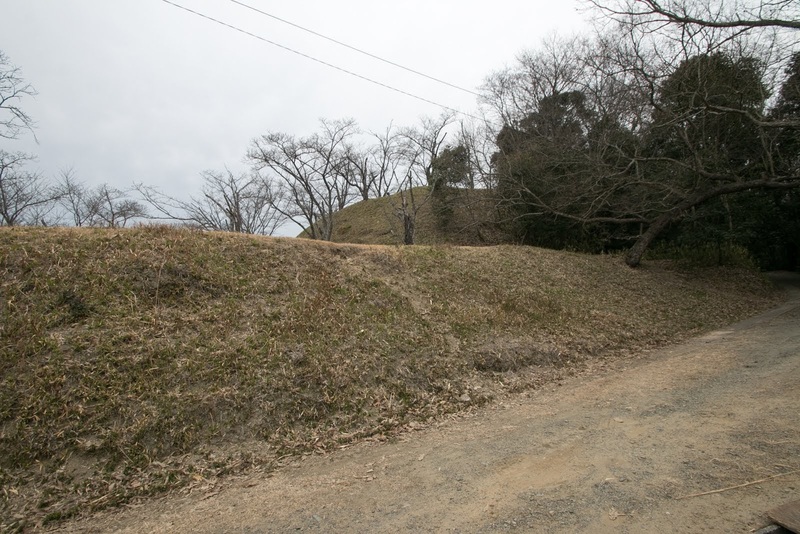 But Motonari ordered his retainer to siege the castle, and finally in autumn of this year, Tadaoki left Kannabe castle then the castle fell after six year battle. 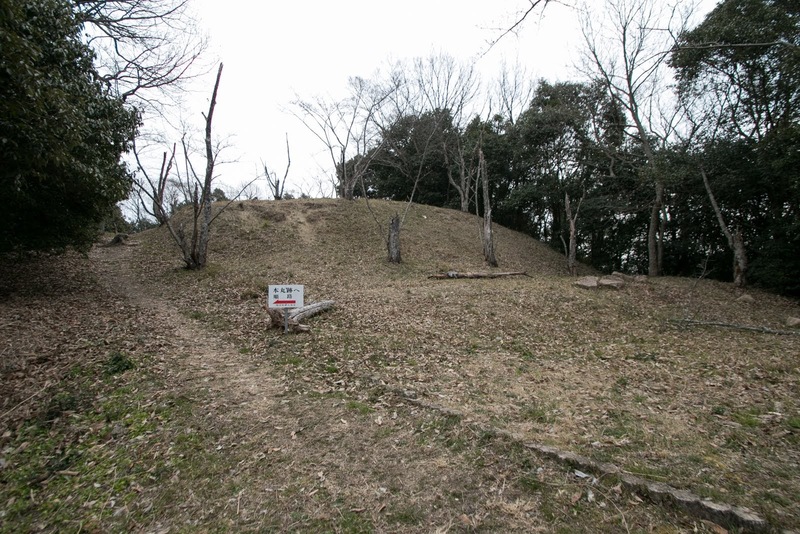 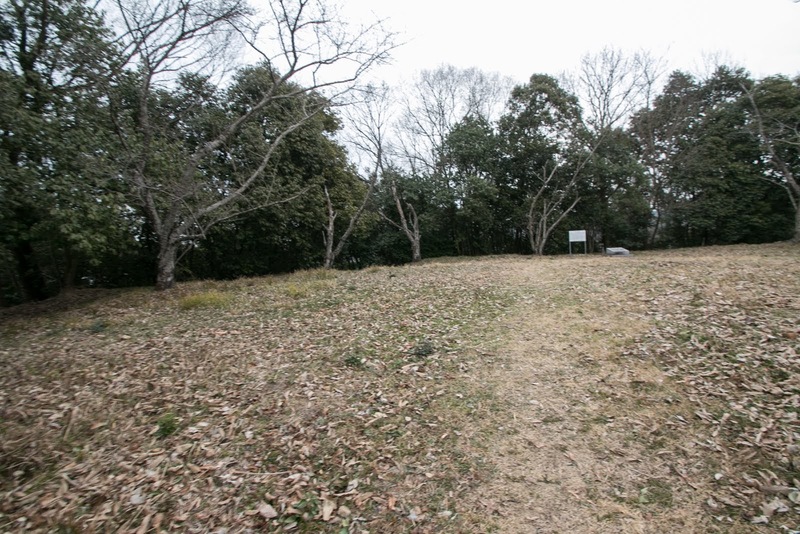 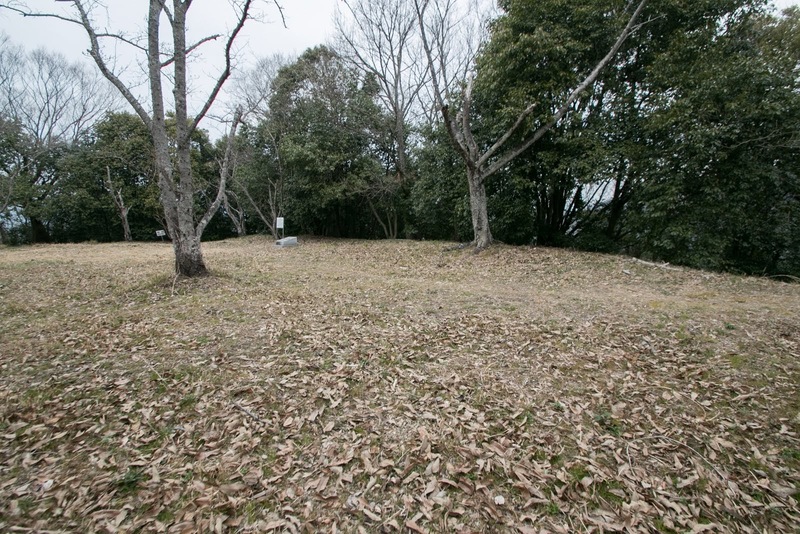 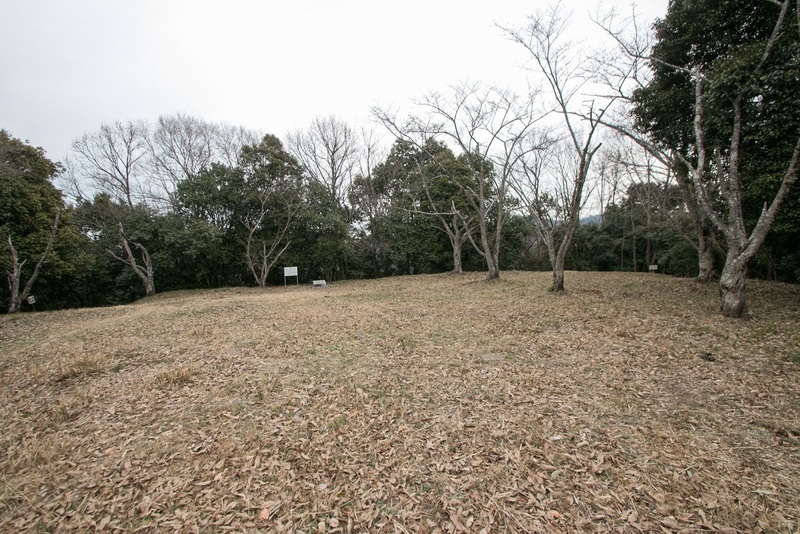 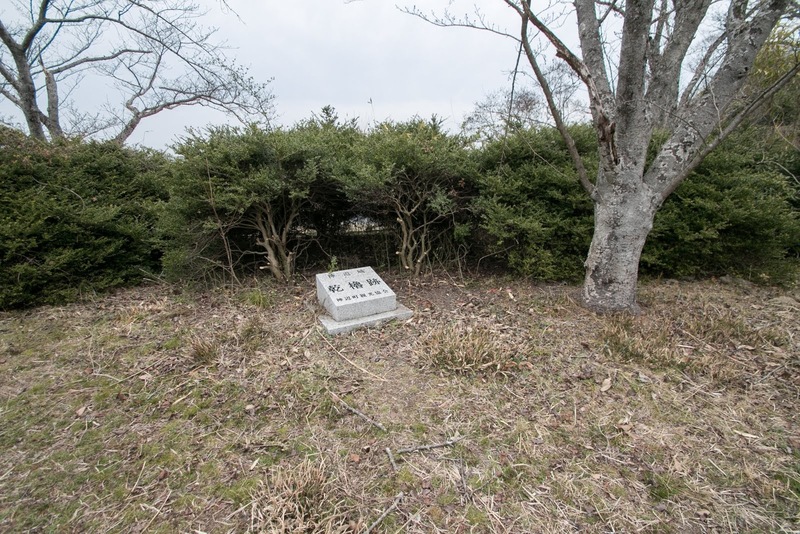 Ouchi clan used Kannabe castle as their base at Bingo province, but substantially ruined at the incident of Daineiji, a coup d'?tat by their important general Harukata Sue (1521-1555). Motonari Mouri who broke Harukata Sue at the battle of Itsukushima in 1555 seized Kannabe castle, and placed Tadaoki Yamana who once escaped to Amago clan but surrendered to Mouri clan. 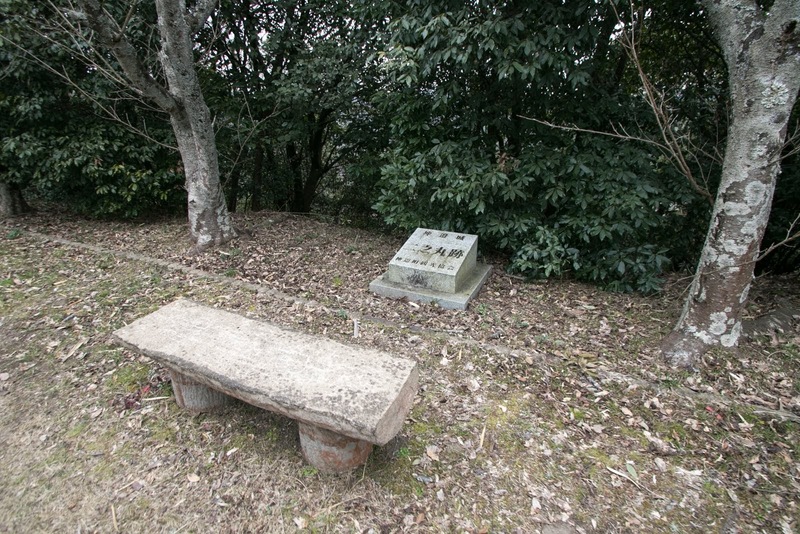 After the death of Tadaoki, his retainer Morishige Sugihara (1533-1582). 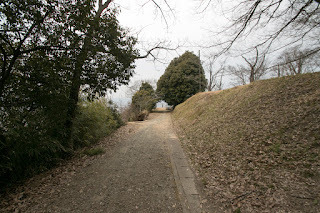 Since then Kannabe castle worked as an important base of Mouri clan in Bingo province, and placed Motoyasu Mori (1560-1601), the eighth son of Motonari, became the commander. Motoyasu kept this castle by the battle of Sekigahara in 1600. 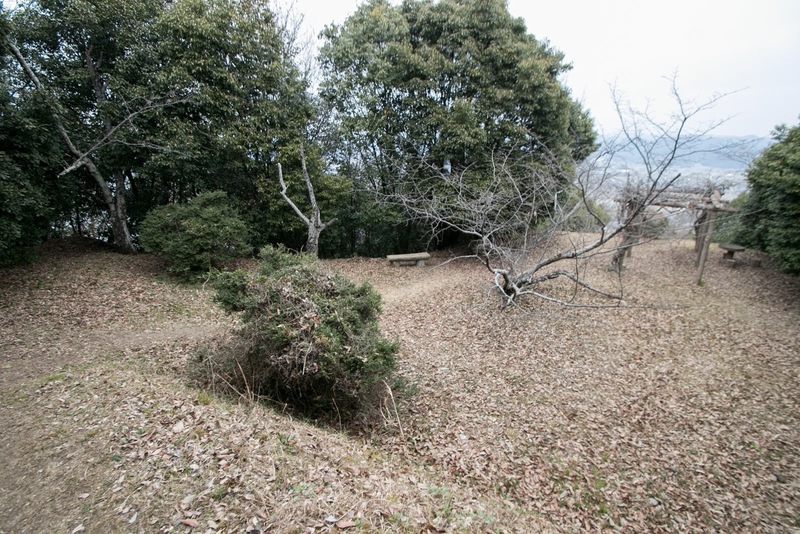 In 1600, as a result of the battle of Sekigahara, Mouri clan lost Bingo province, and Kannabe castle was held by Masanori Fukushima (1561-1624), along with Aki province (western part of Hiroshima prefecture). 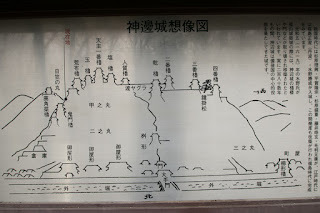 Masanori resided at Hiroshima castle, but also built or reformed six branch castle such as Kamei castle, Mihara castle, Ozekiyama castle, Gohongadake castle, Tomo castle and Kannabe castle, at each border to protect his territory. 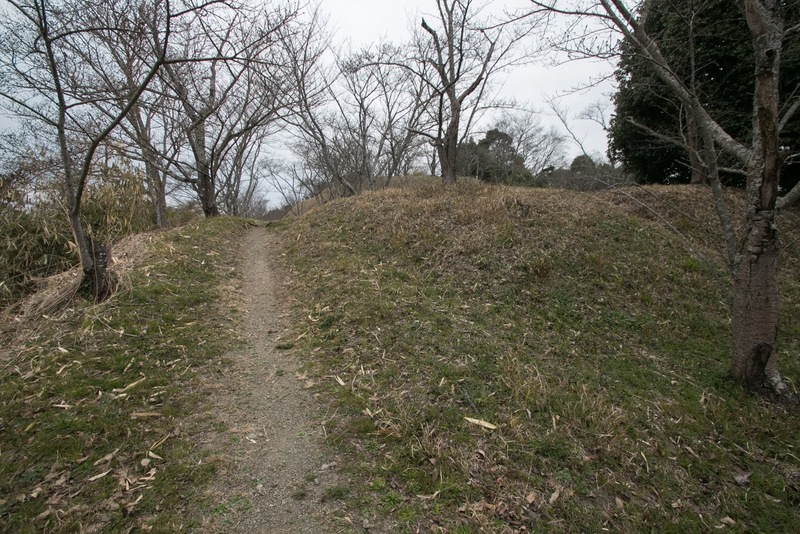 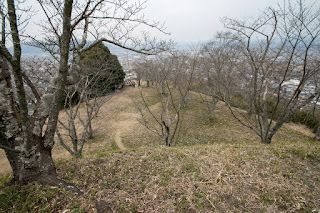 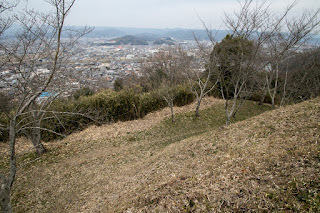 Especially Kannabe castle was the front fort faces toward central area, then Masanori significantly improved Kannabe castle into a modern one. 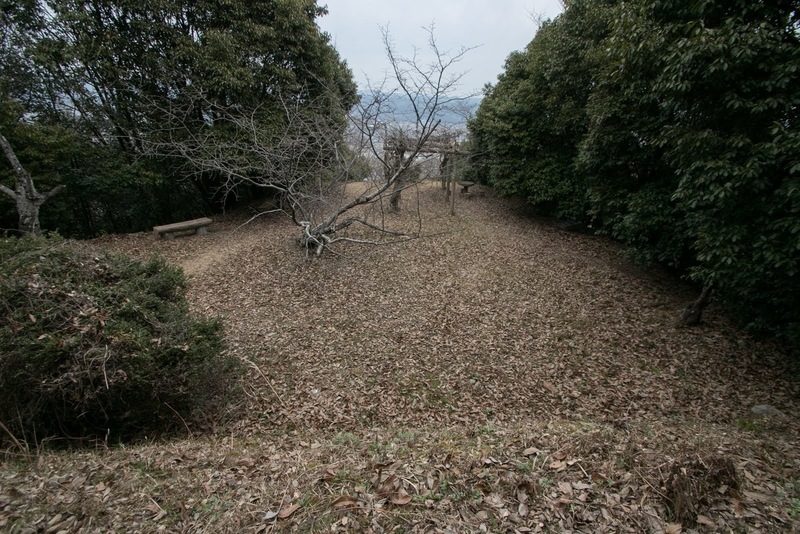 The central area of the castle existed at the peak of the hill, and four large terraces continued from peak along with ridge, like steps. 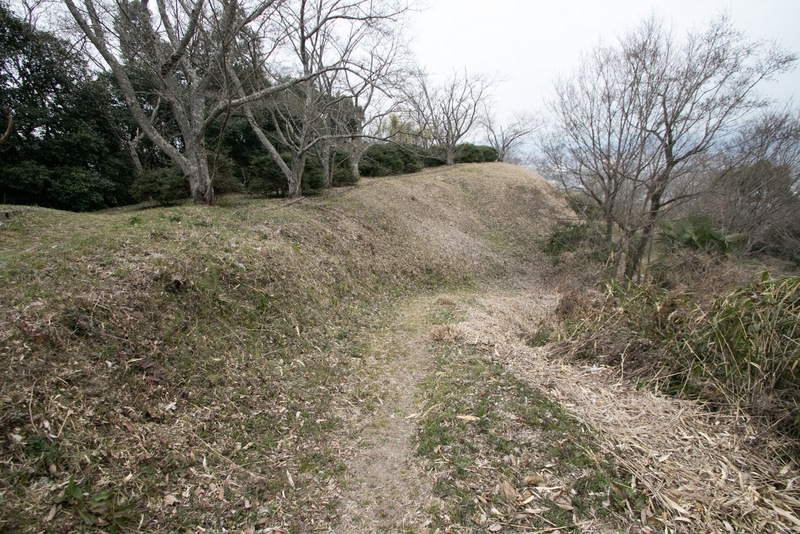 Different from his colleague Kiyomasa Kato (1562-1611), Masanori liked simple but massive castle which placed terraces in straight line. At backside there were also two terraces, and another area was built at next peak. 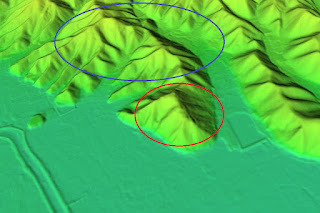 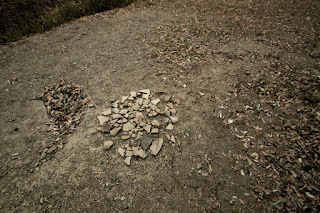 The saddle point connected to next mountain was separated by gates and moats, and the residence of the commander was built at hillside area. 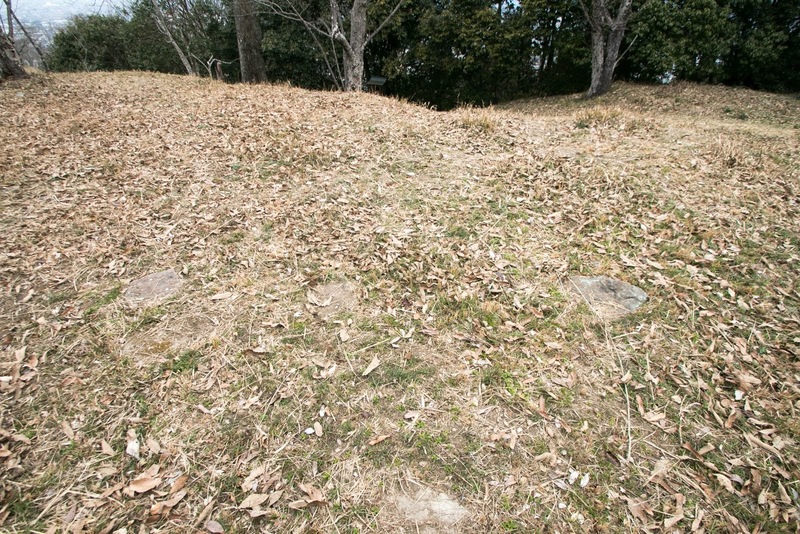 Major areas were guarded by stone walls, and nearly 10 turrets stood together at narrow space like a skyscraper. It is said that a three story main tower existed at the front side of central area, but it was directly built at ground without basement. 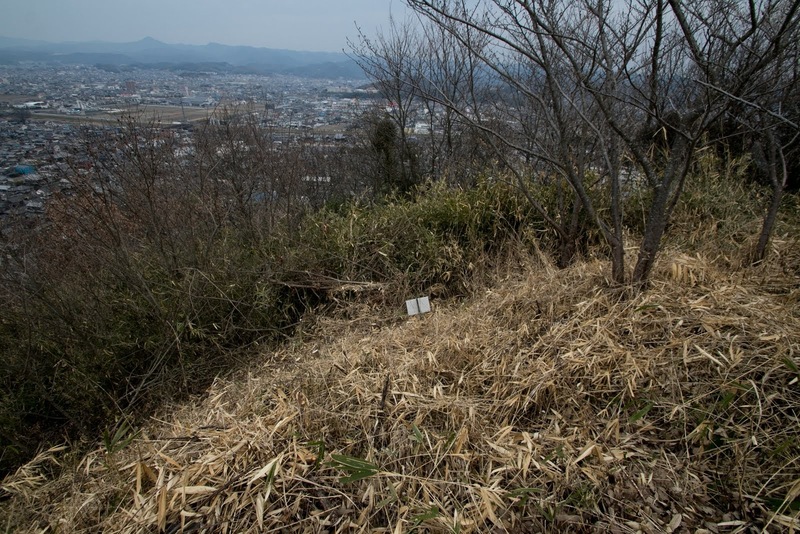 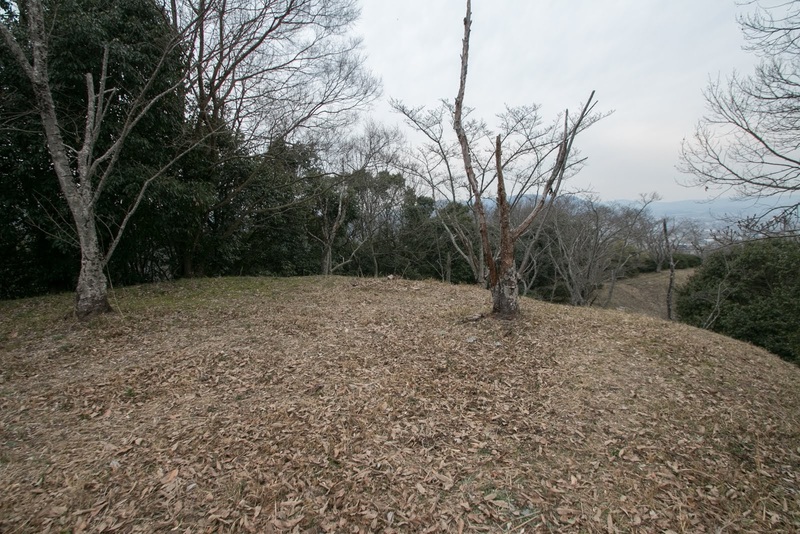 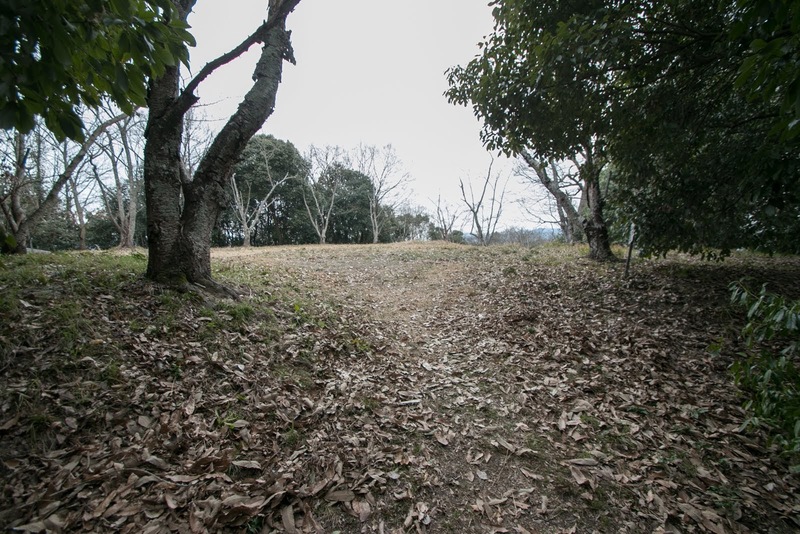 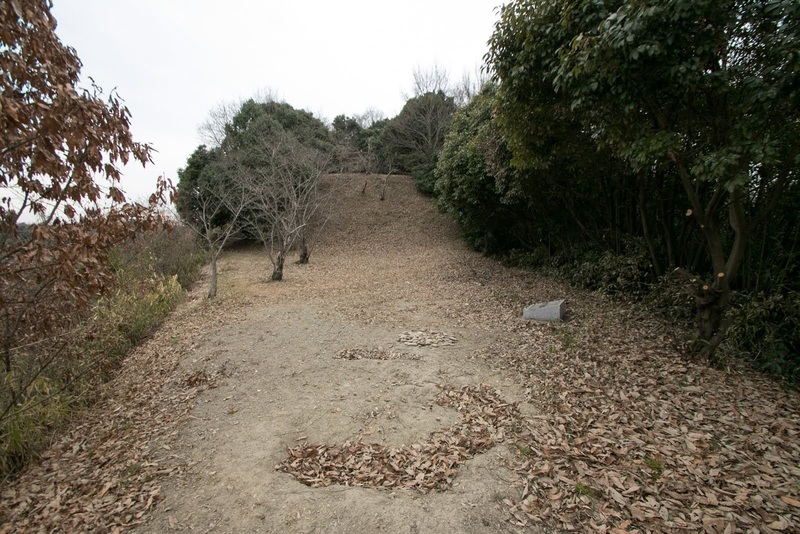 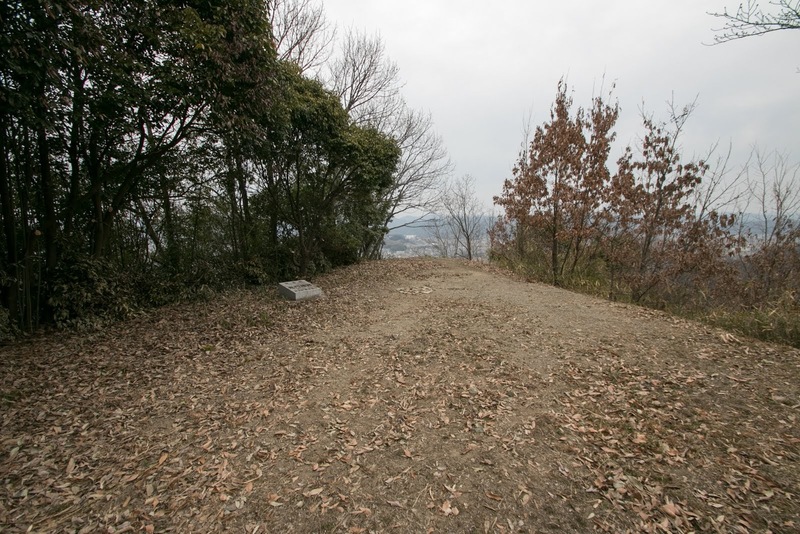 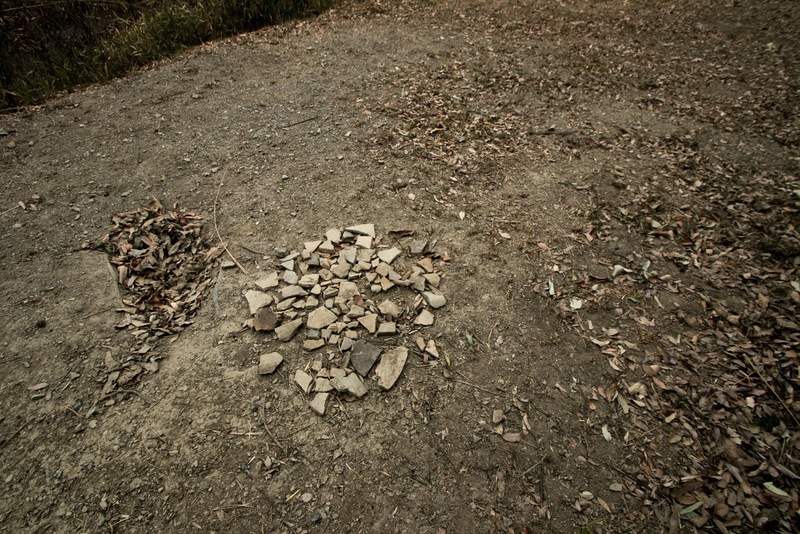 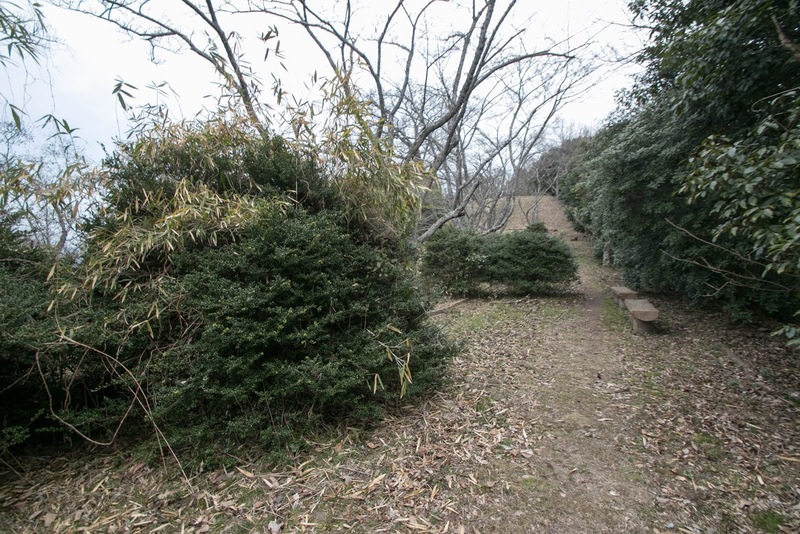 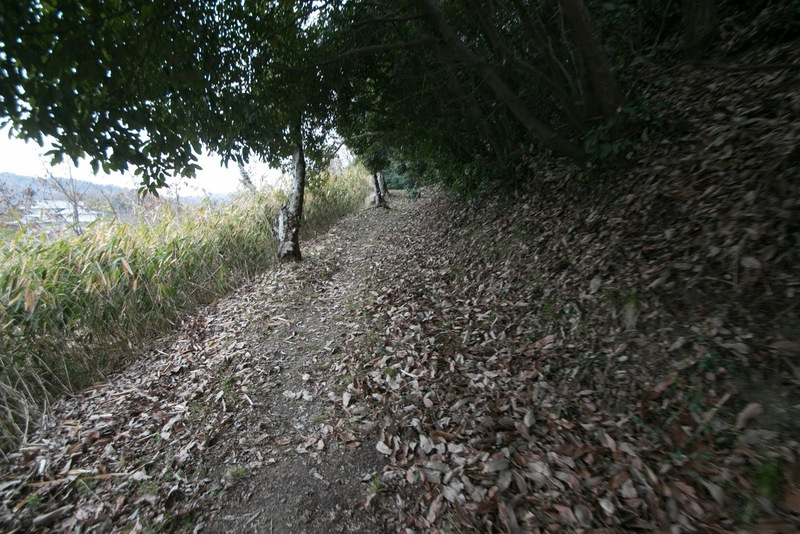 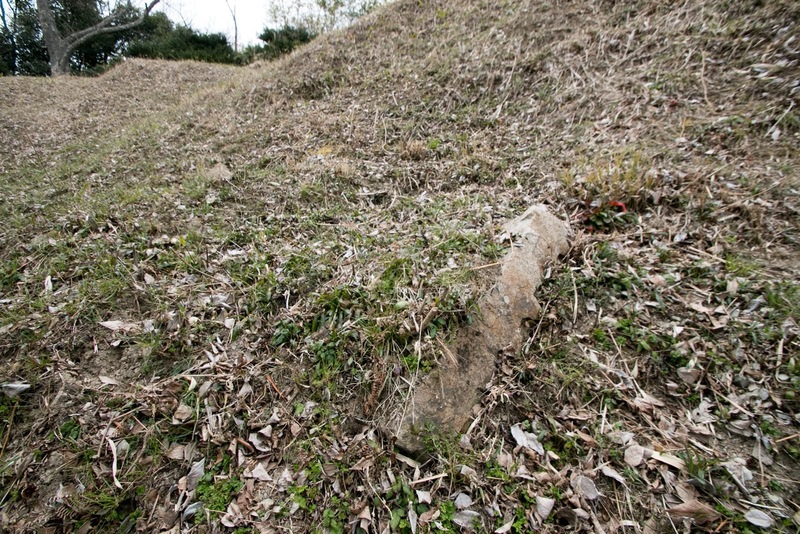 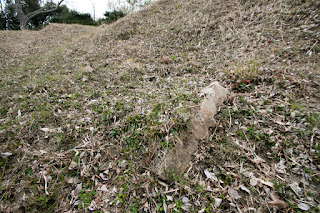 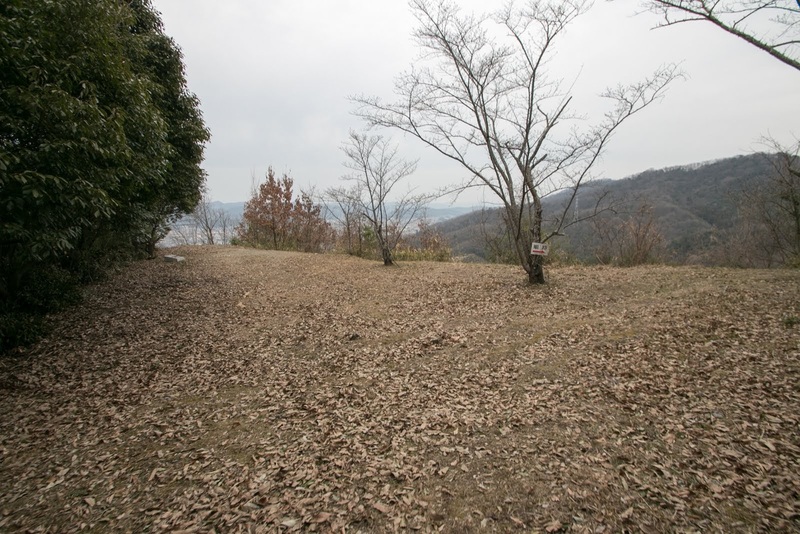 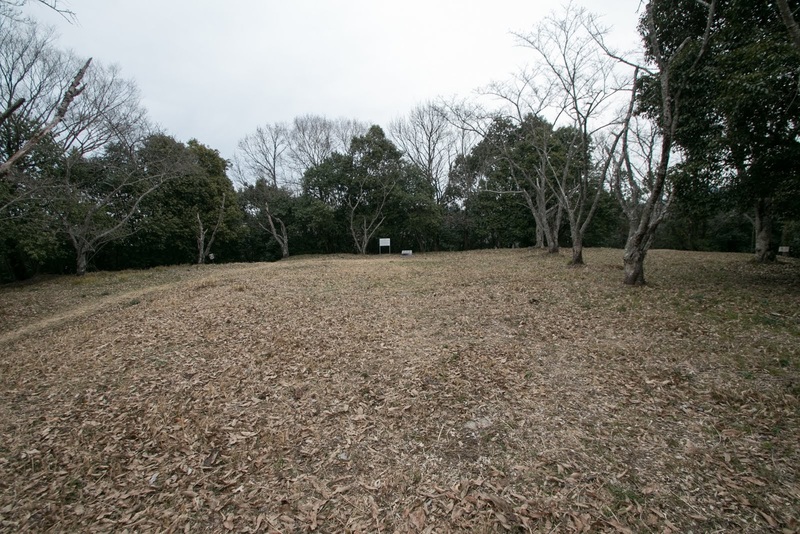 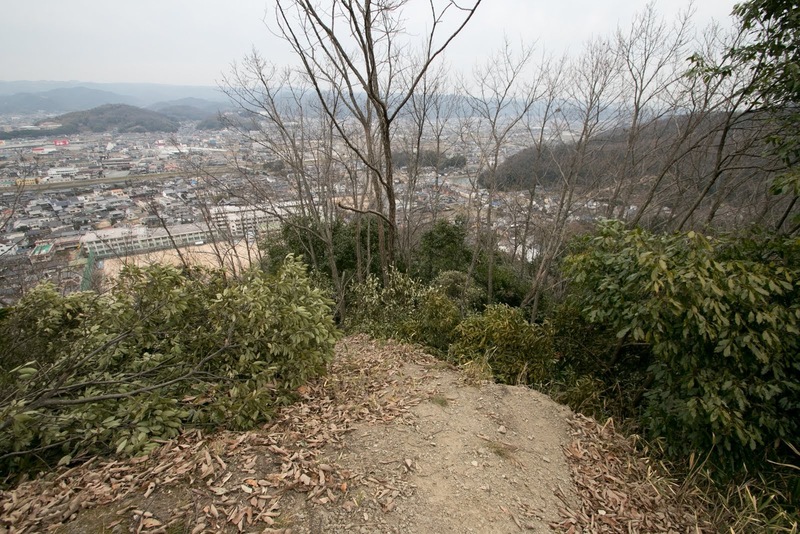 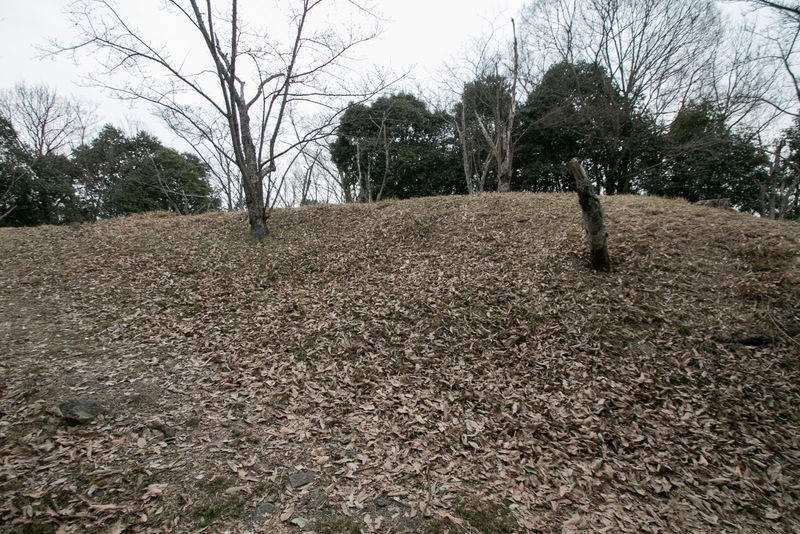 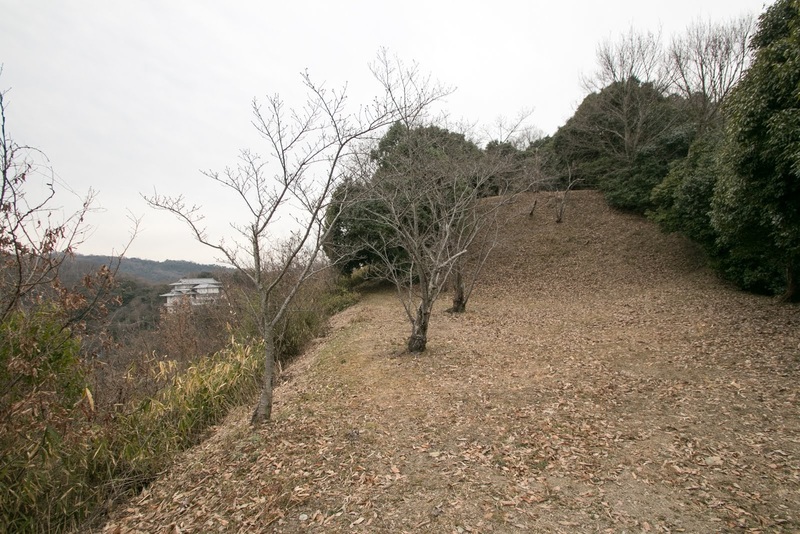 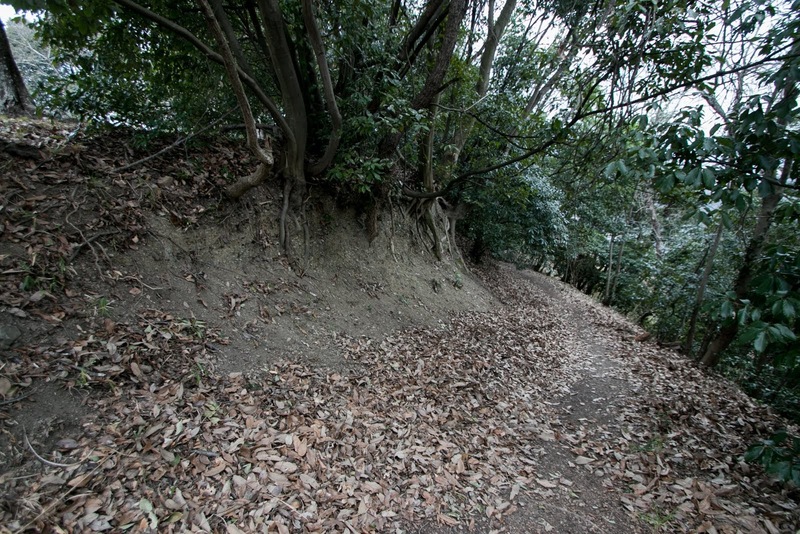 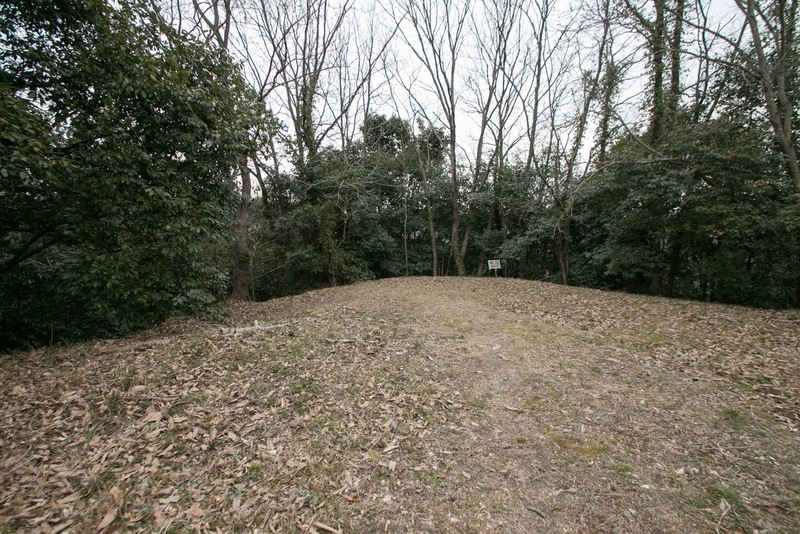 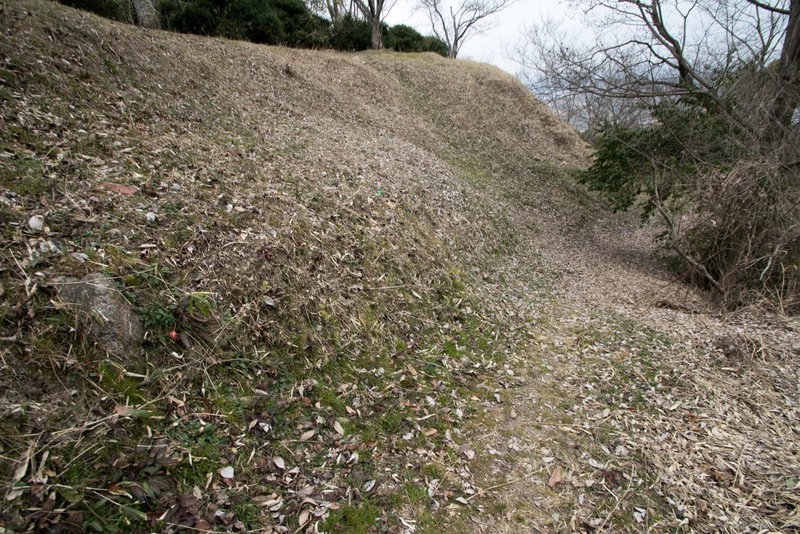 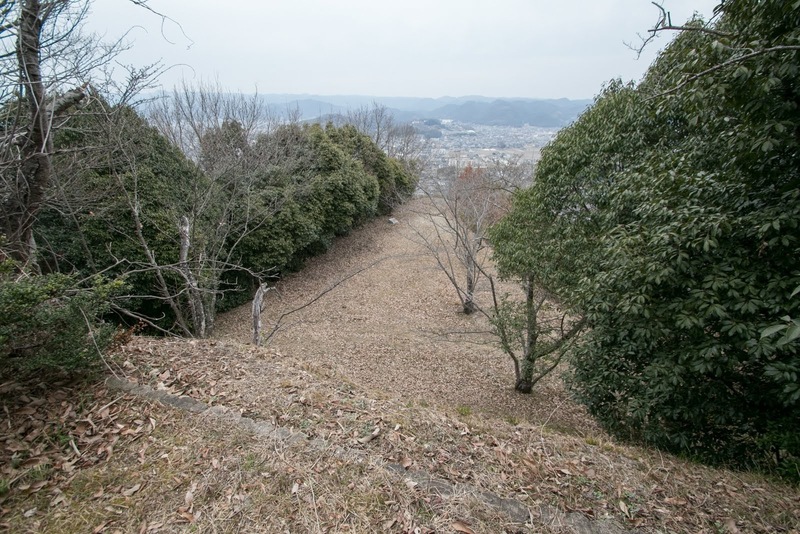 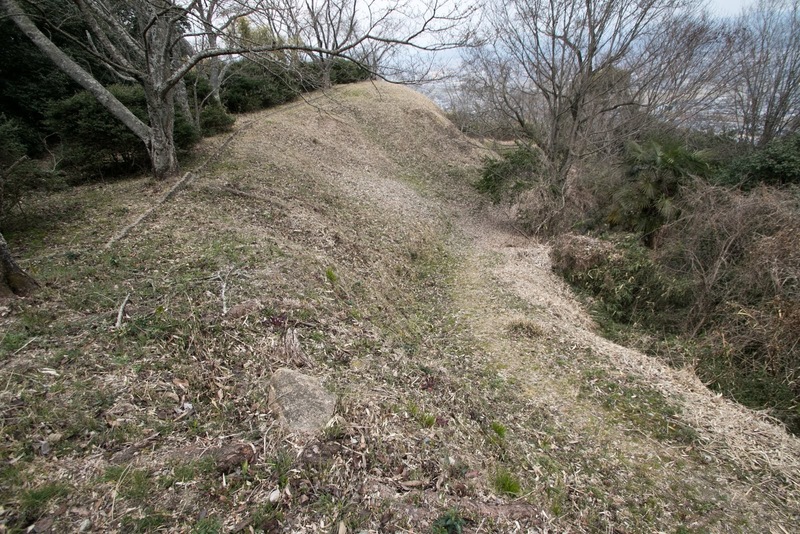 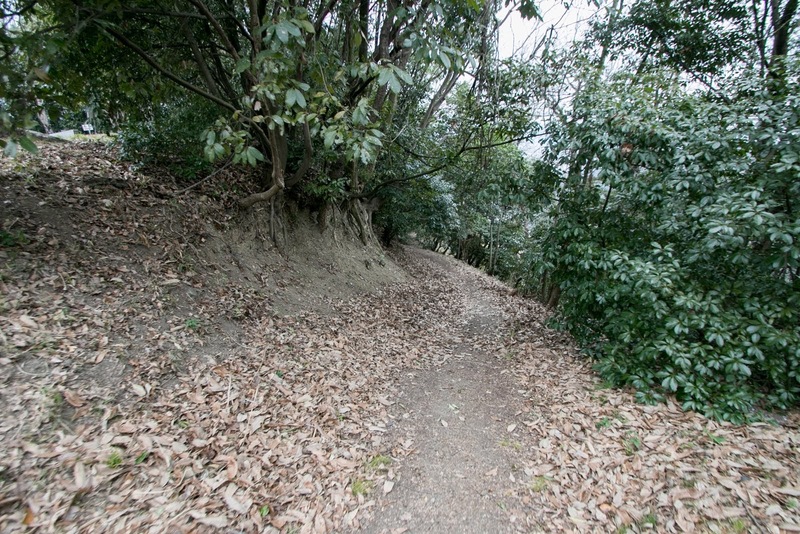 Final remnants is only about 150 meter long, but considering toughness at the battle against Mouri clan, original castle might include higher peak at the east of current castle area but was disposed. 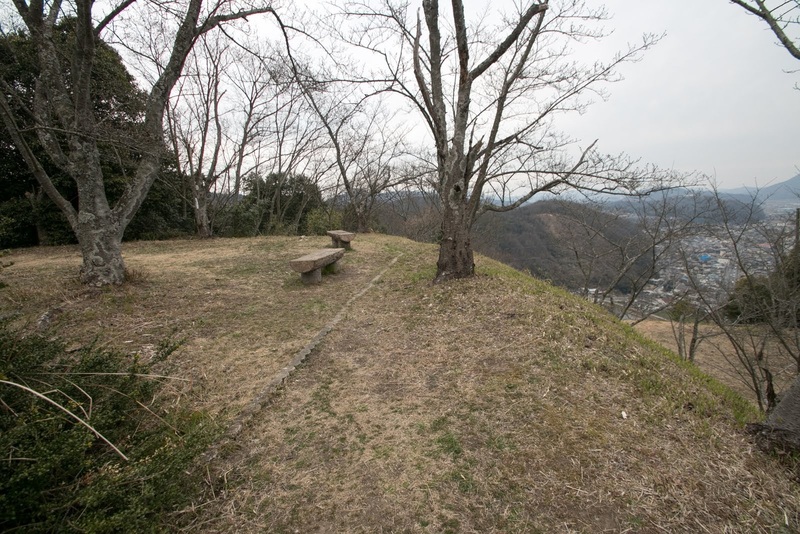 In 1619, Masanori was confiscated his territory and expelled by Edo Shogunate. 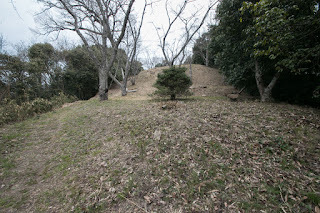 Katsunari Mizuno (1564-1651), a hereditary retainer of Tokugawa clan was appointed as a lord of Bingo province, and at first he entered Kannabe castle. 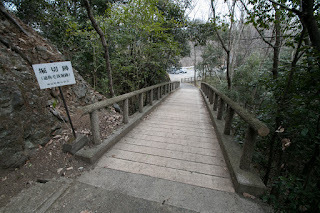 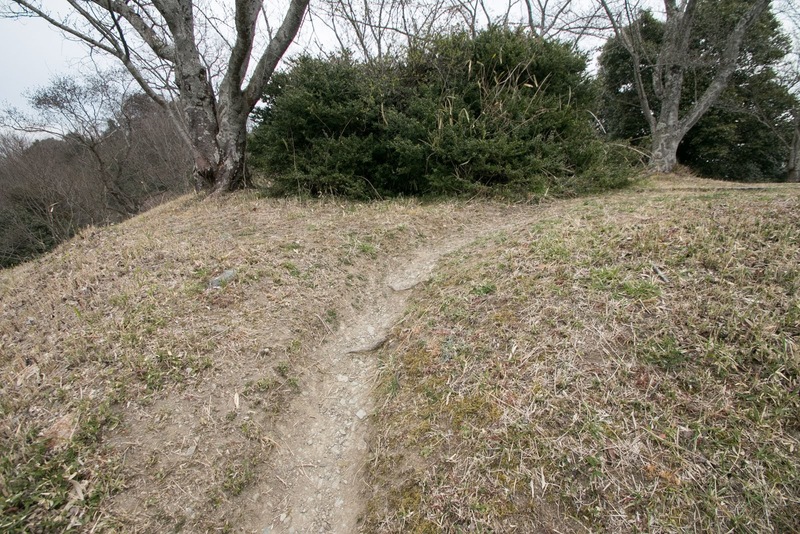 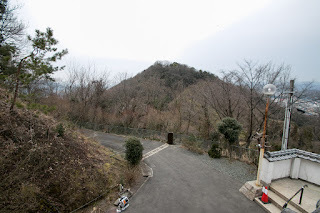 But Kannabe castle was a narrow one located at steep mountain and shrunk as a branch castle, the it was too small and had no space for expansion. Apart from defense fort, Kannabe castle was not appropriate for major base of large feudal domain. 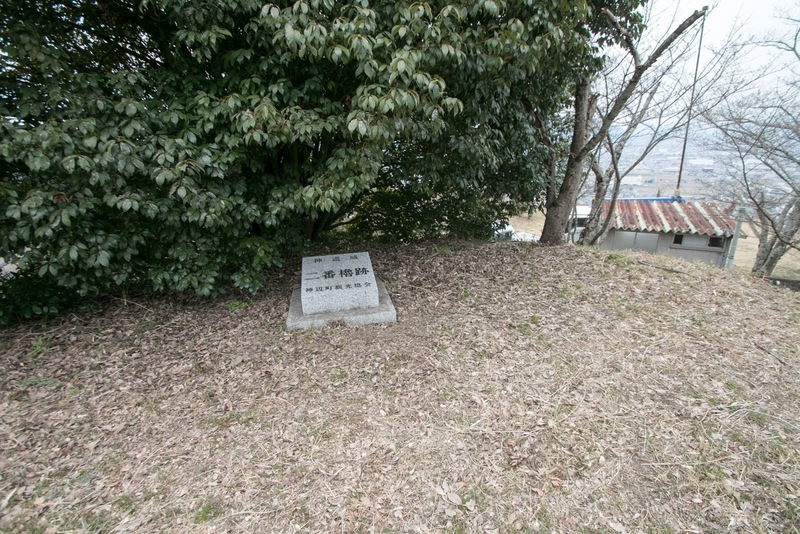 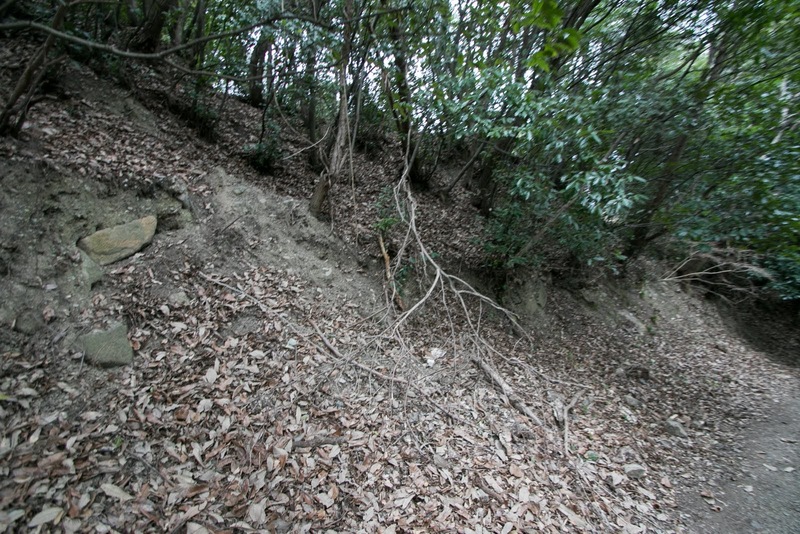 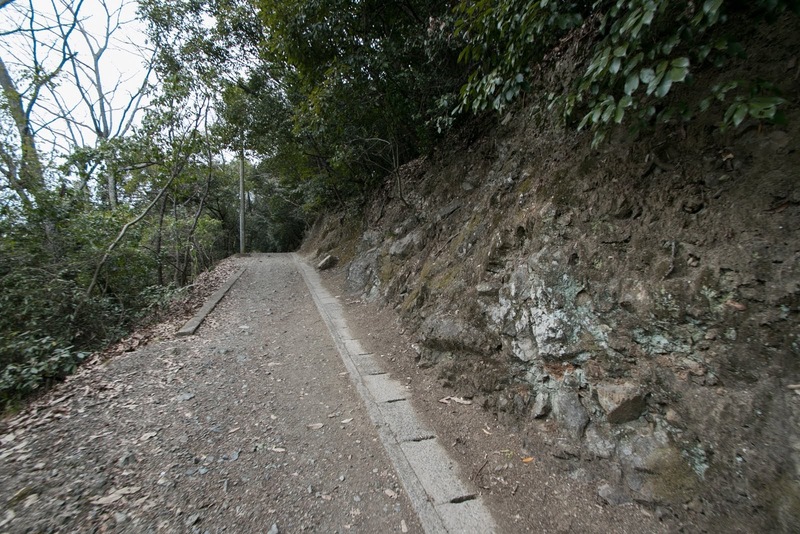 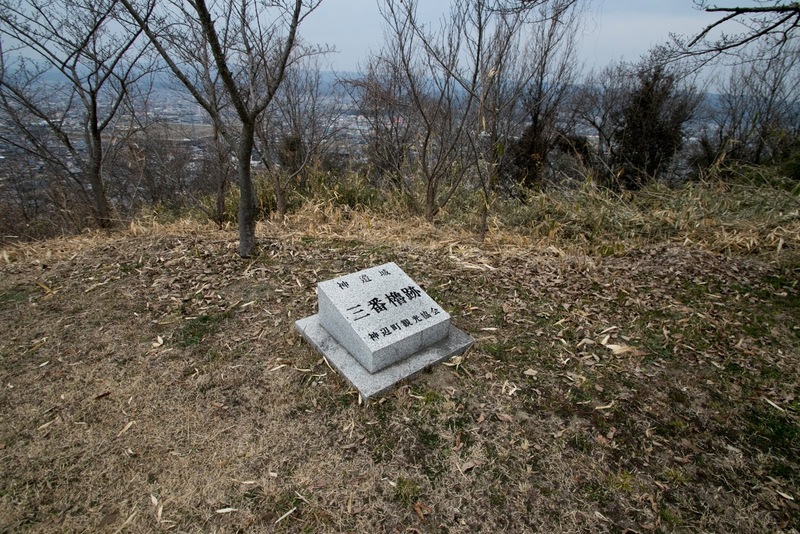 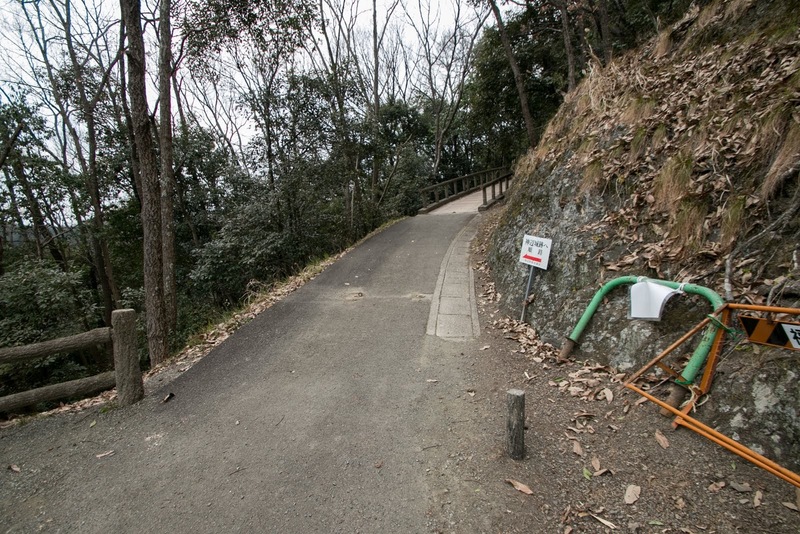 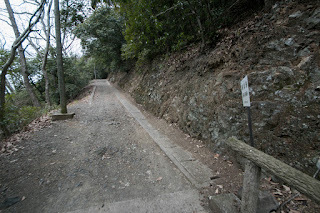 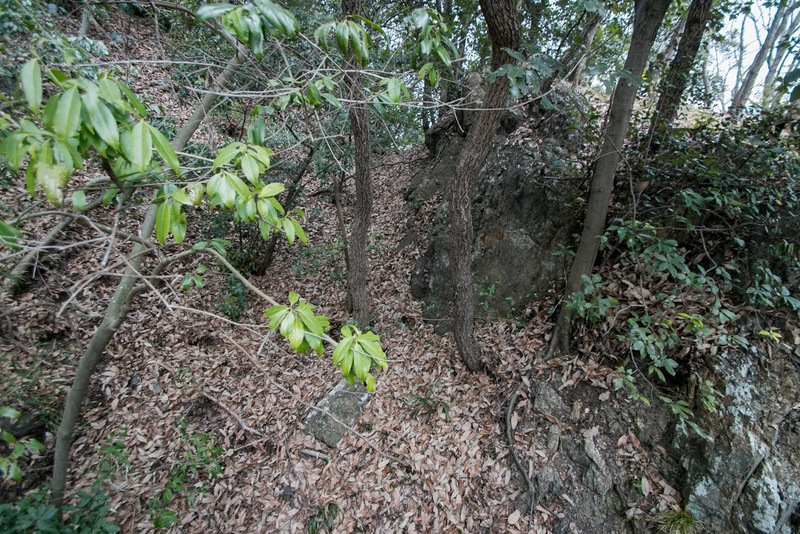 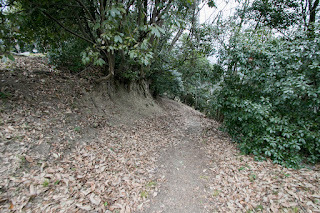 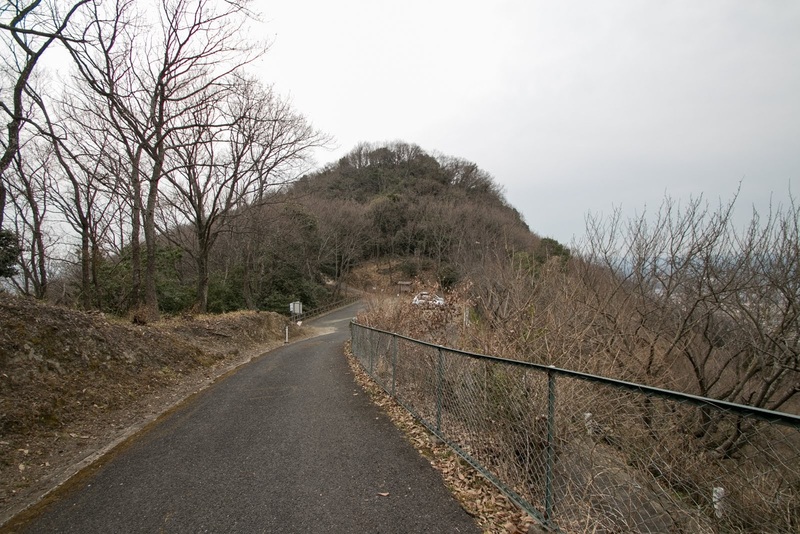 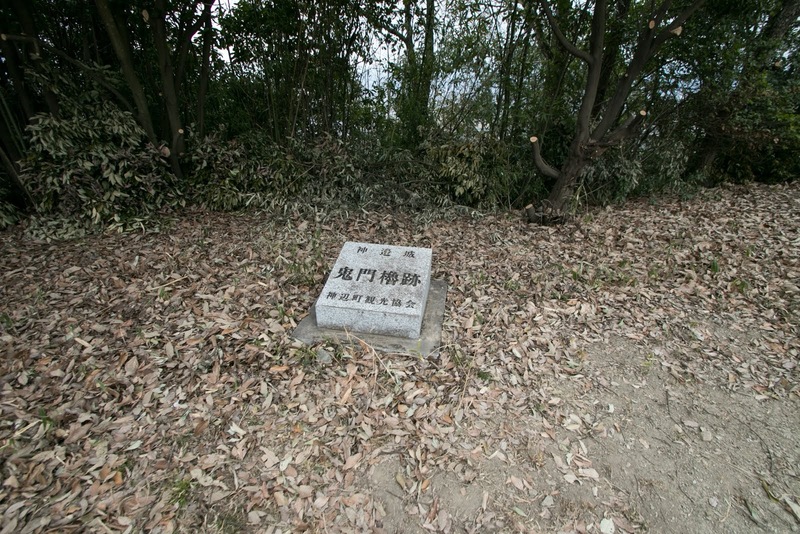 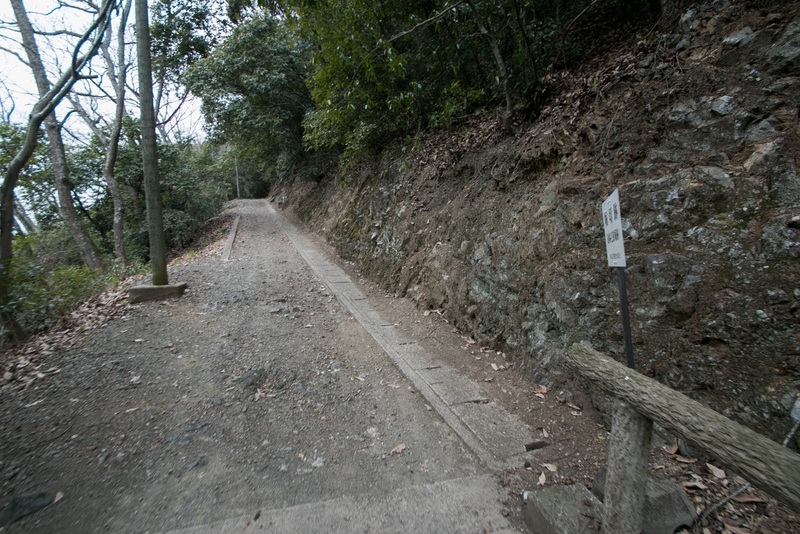 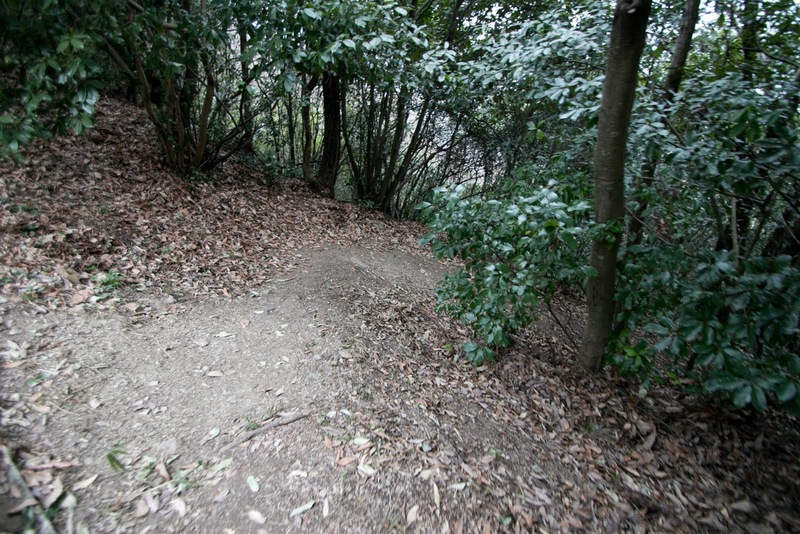 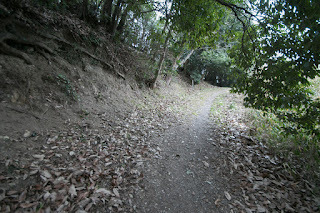 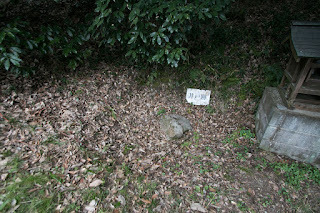 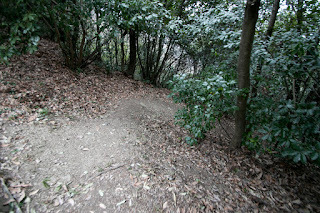 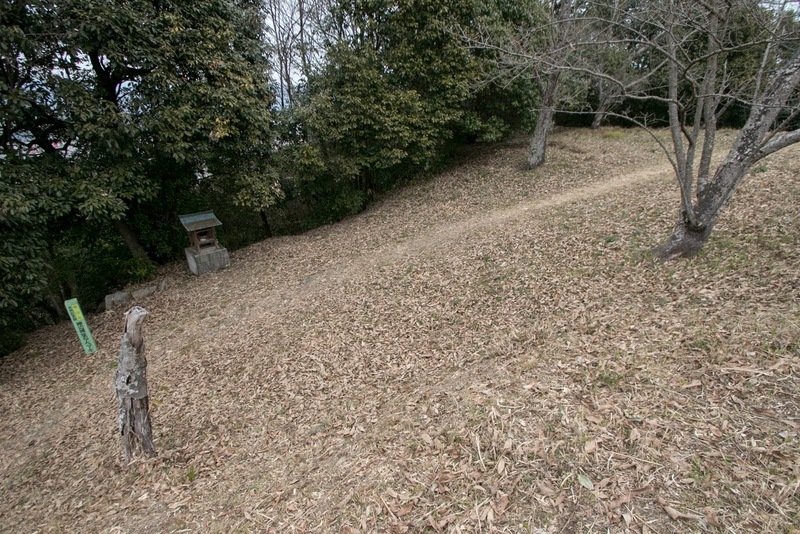 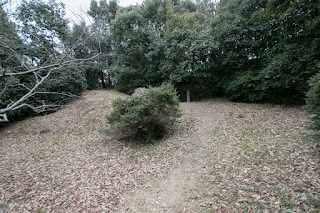 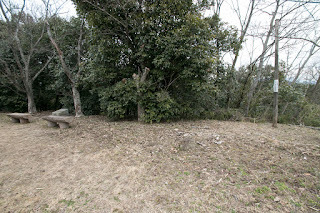 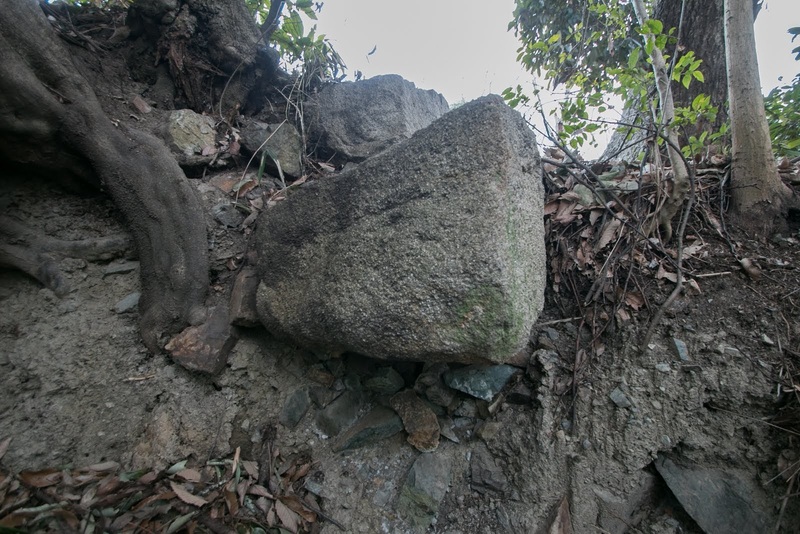 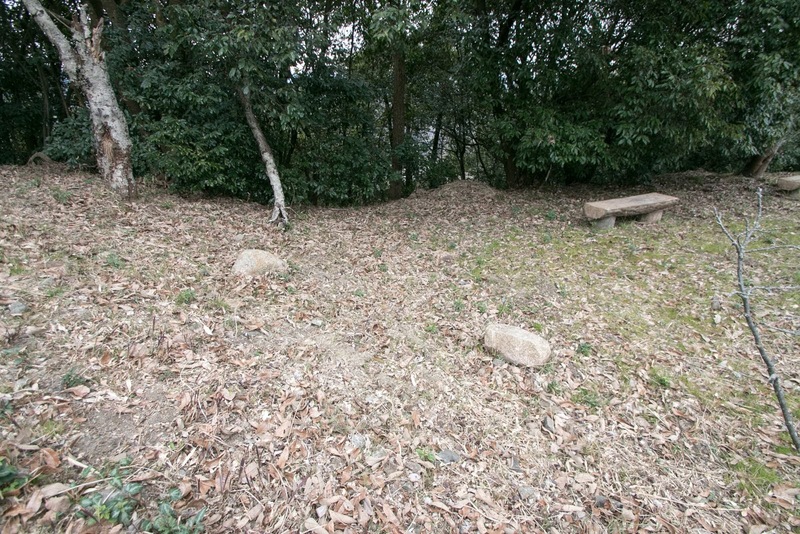 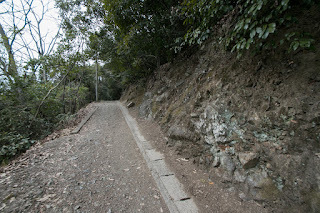 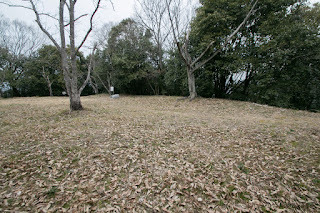 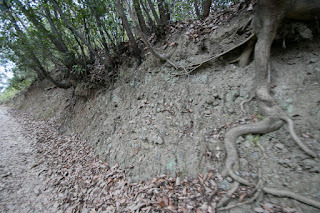 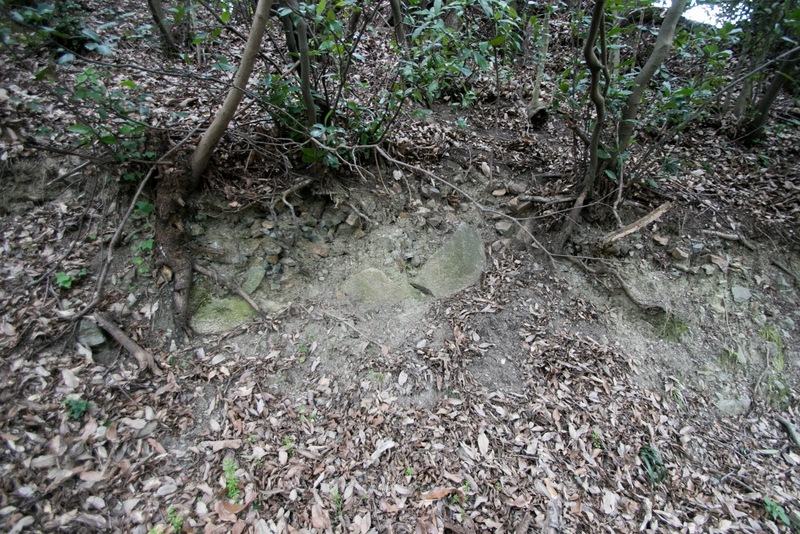 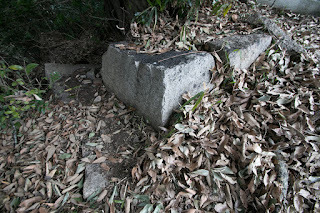 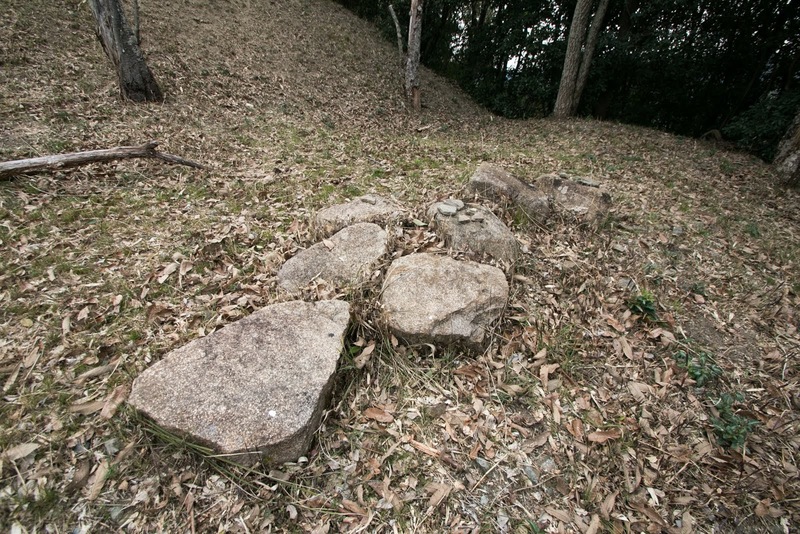 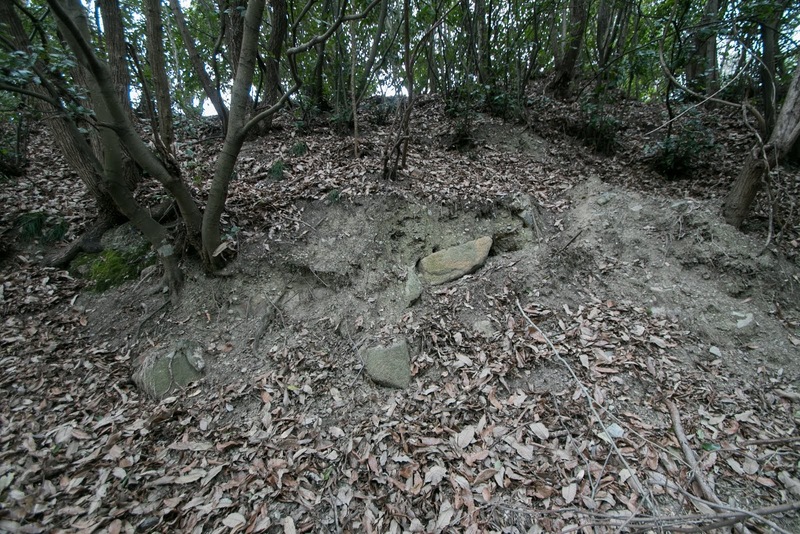 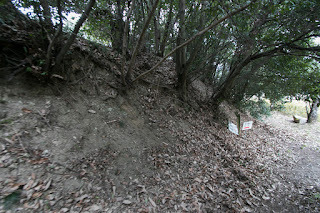 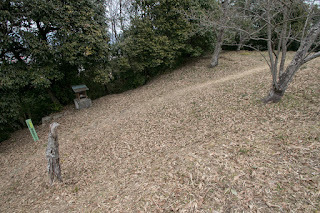 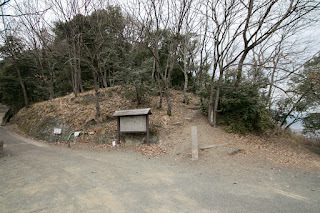 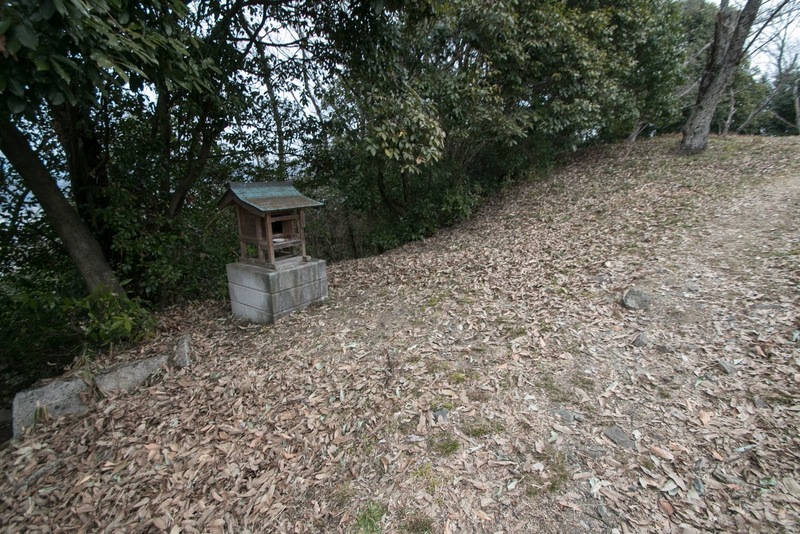 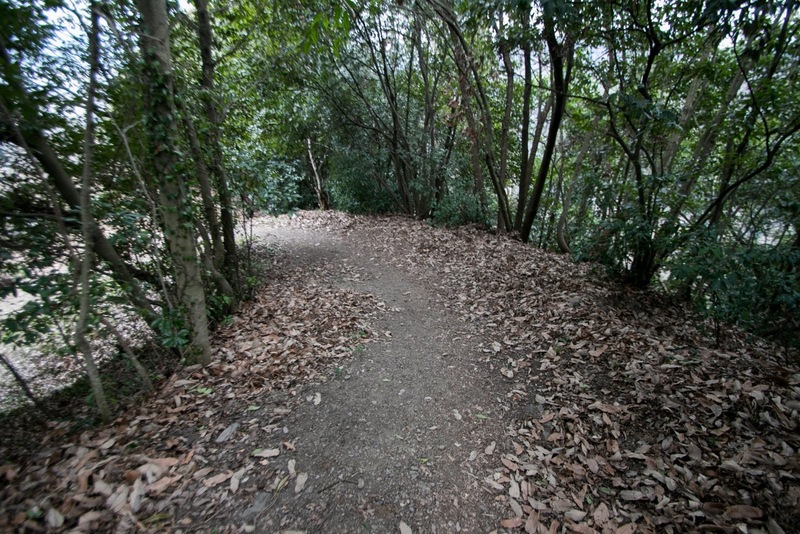 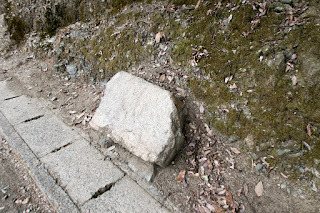 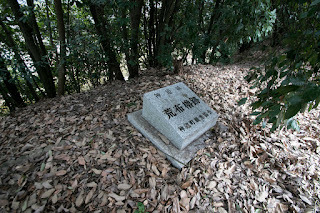 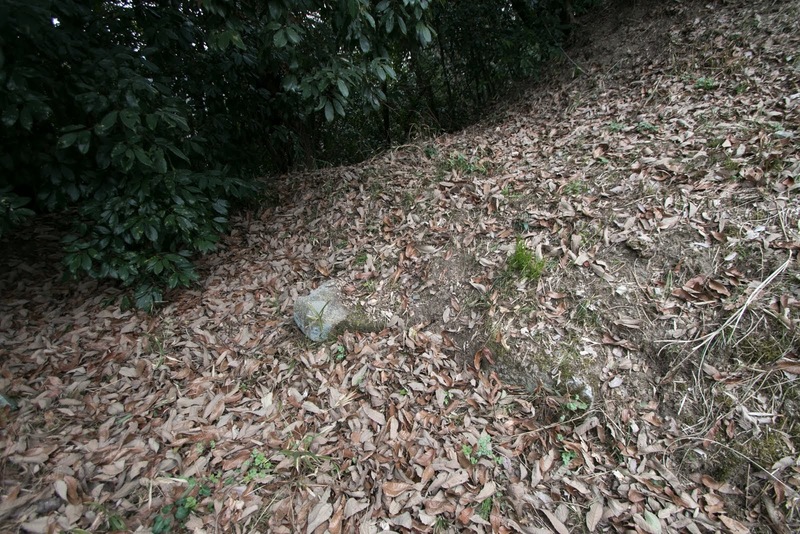 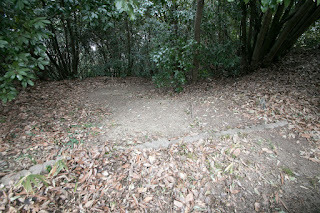 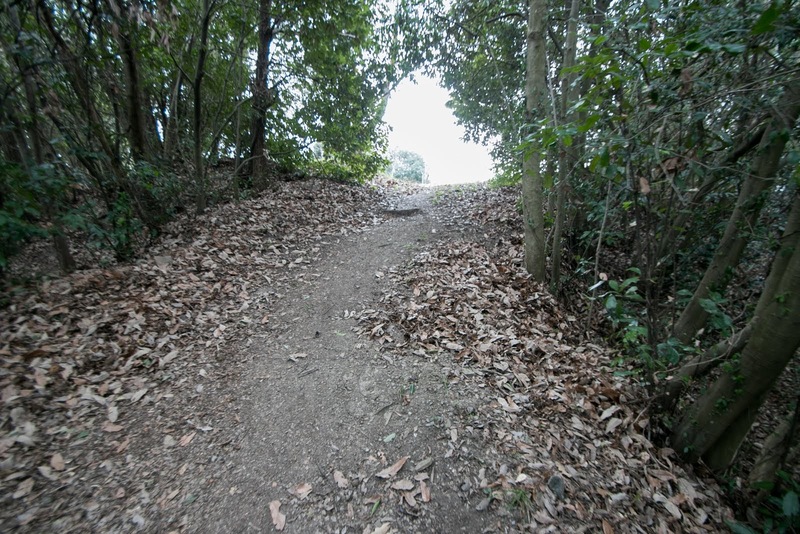 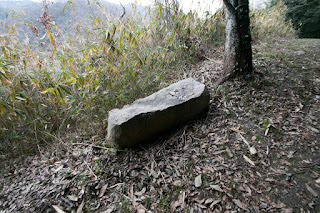 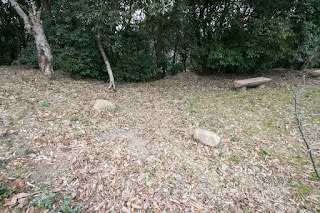 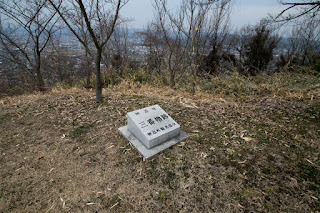 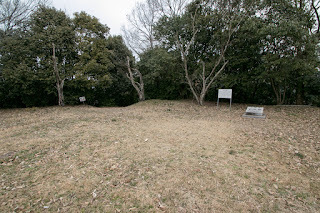 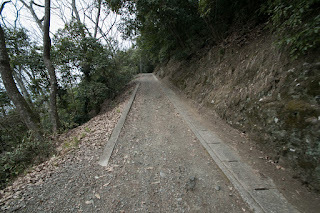 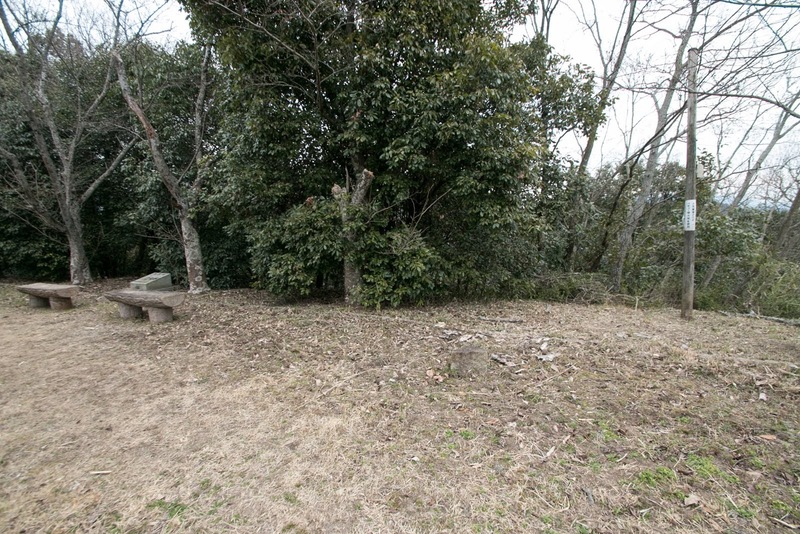 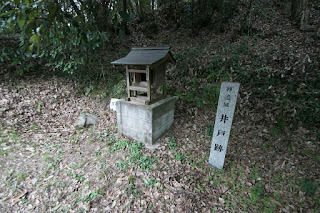 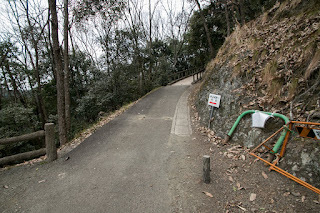 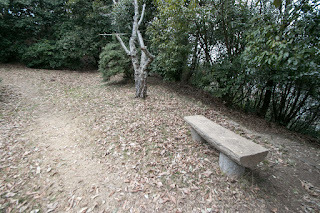 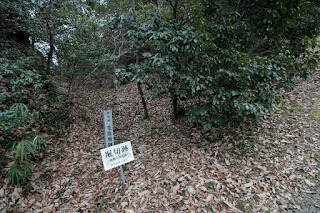 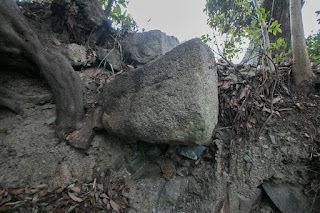 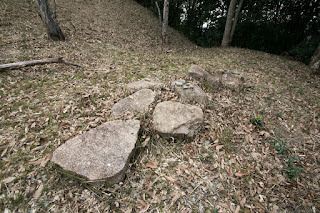 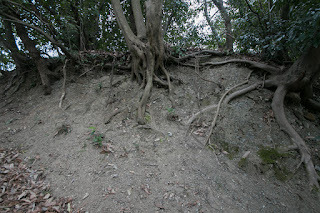 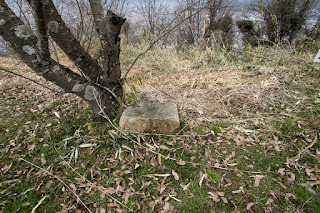 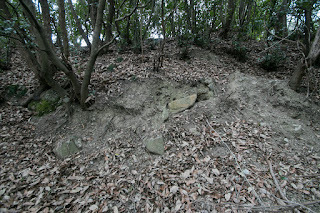 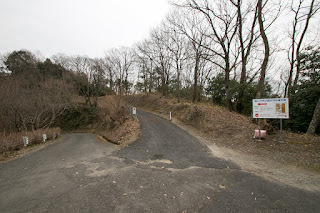 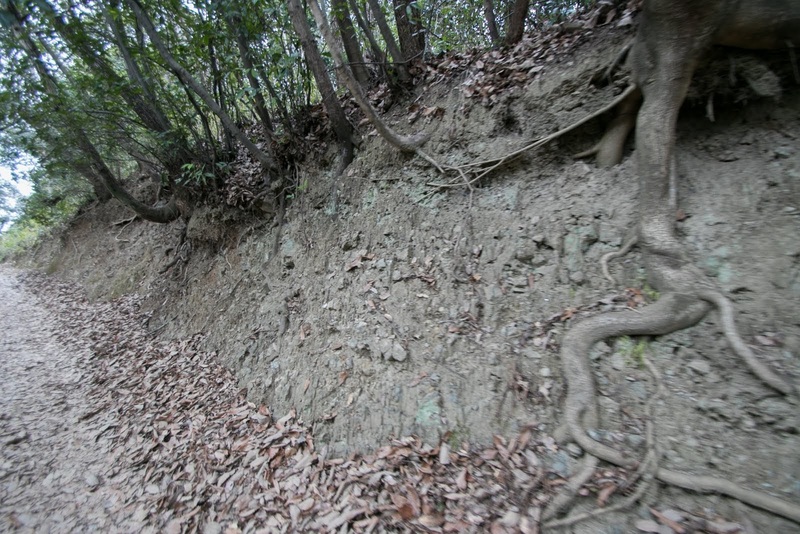 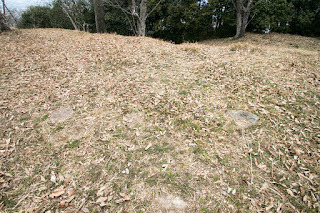 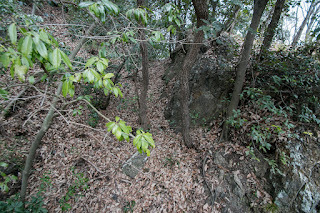 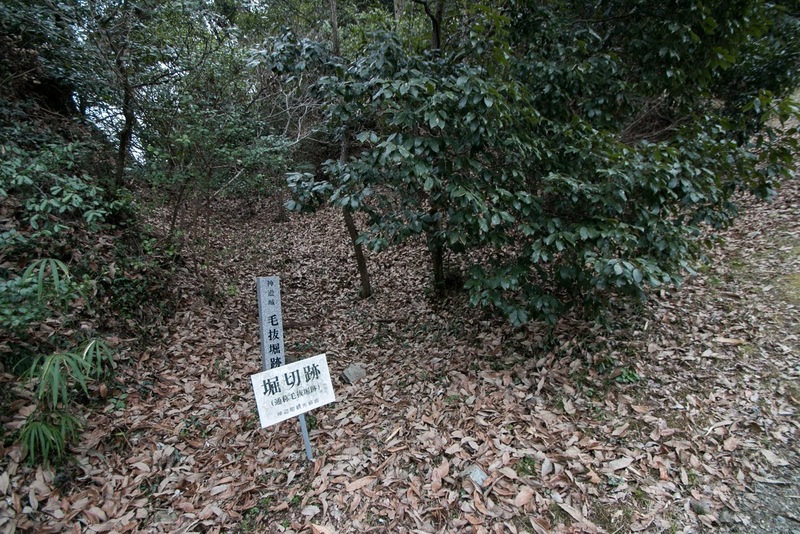 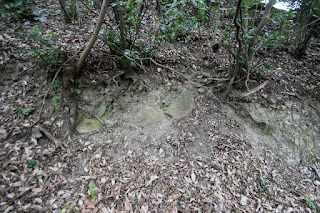 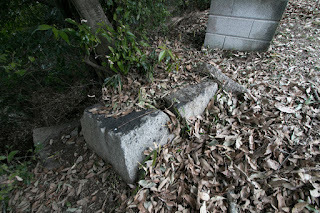 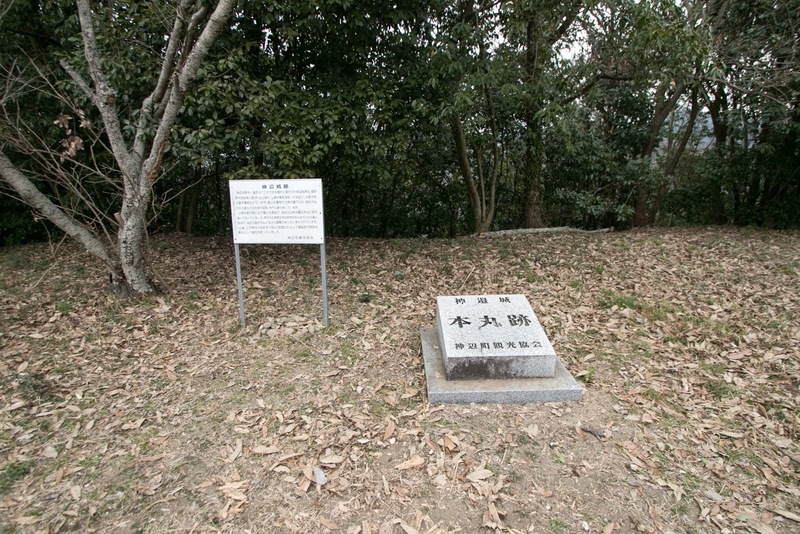 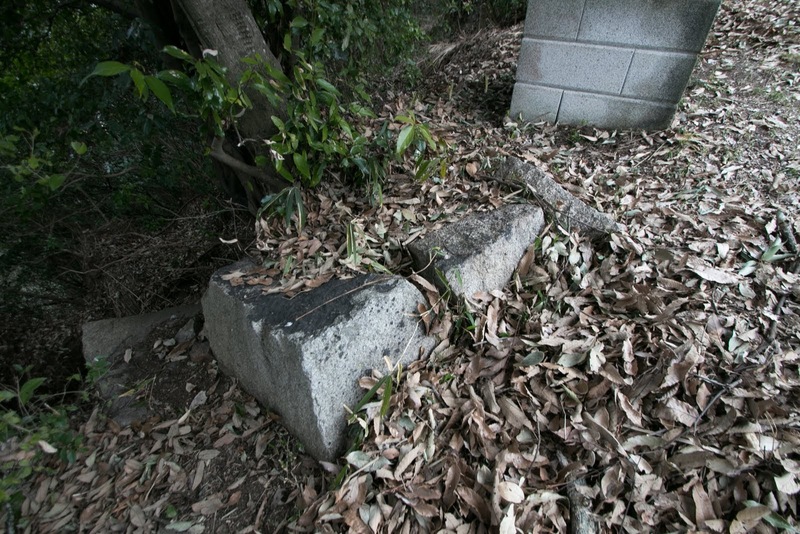 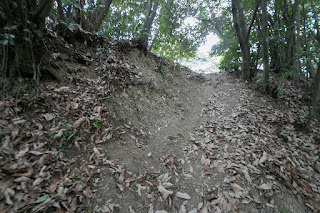 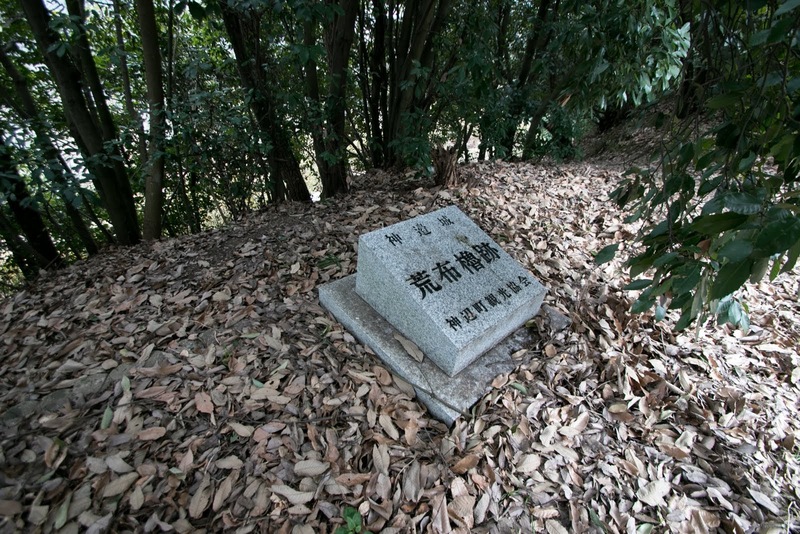 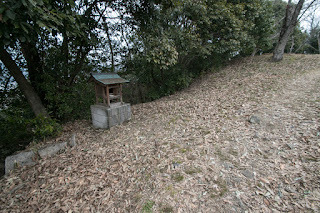 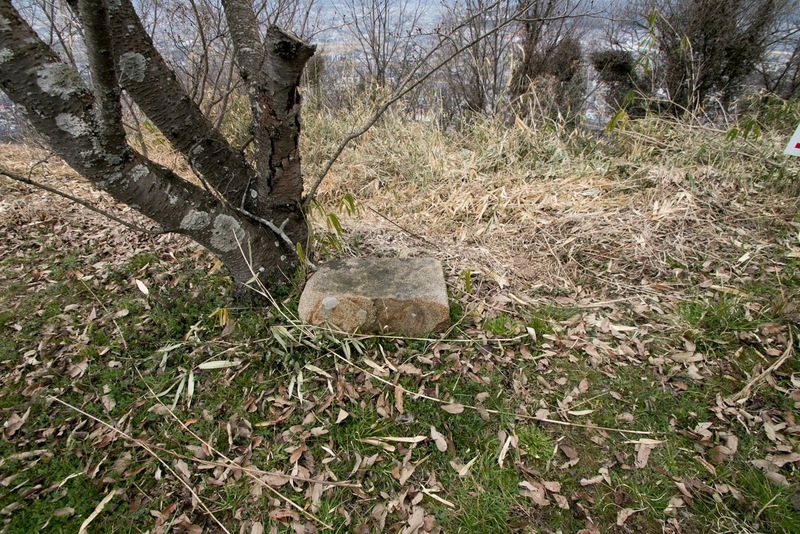 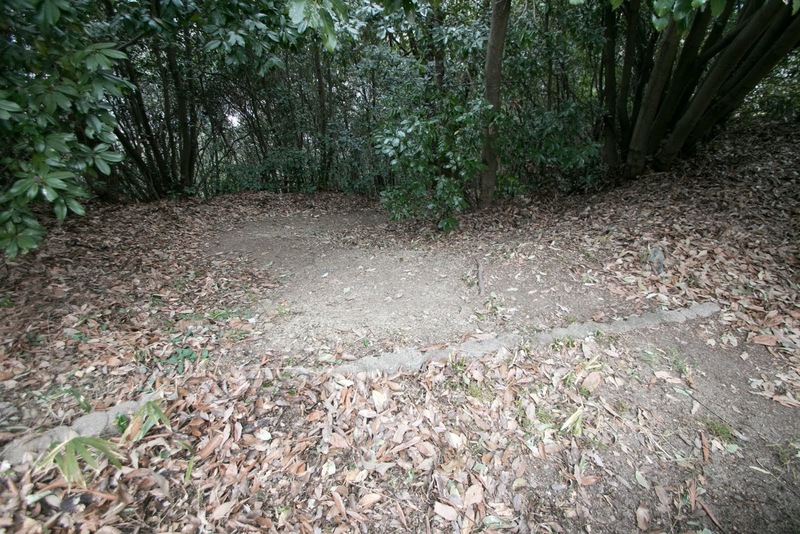 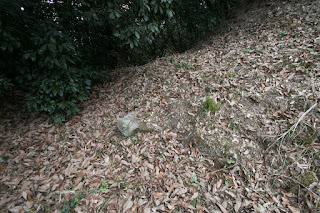 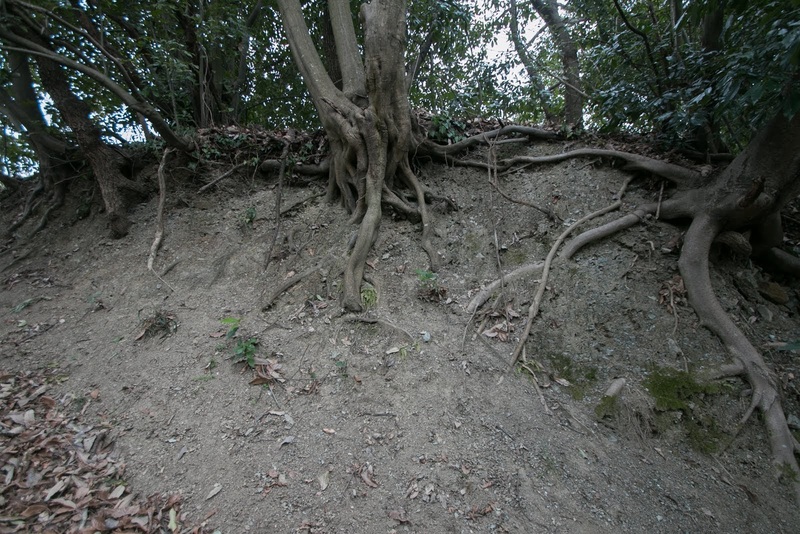 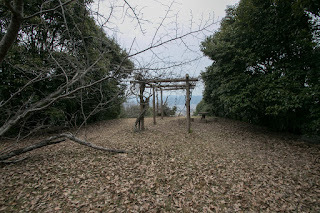 Beside this, Kannabe castle was directly connected to the next mountain, and this might be the weak point of the castle. 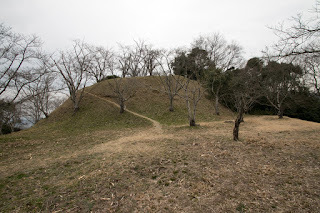 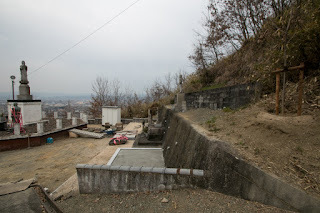 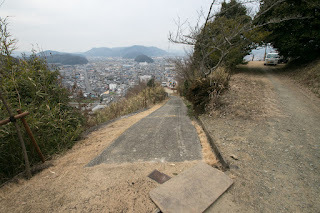 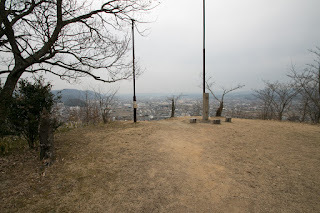 Due to above reasons, Katsunari built new?Fukuyama castle?and moved there. All buildings including main tower and stones were transferred to Fukuyama castle, and moved turrets were called as Kannabe turrets but all broken at the time of Meiji revolution. 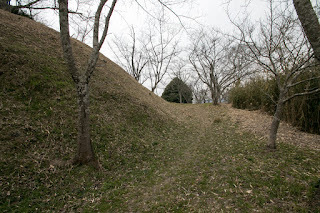 However, Kannabe town continued as an important posting town of Sanyodo road without castle. 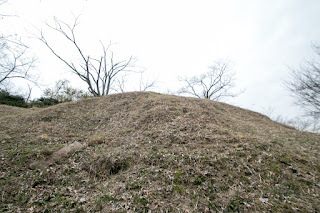 prominent shape of the castle is seen from everywhere of Kannabe plain, and we can imagine the massive shape of the castle with many turrets stand together. 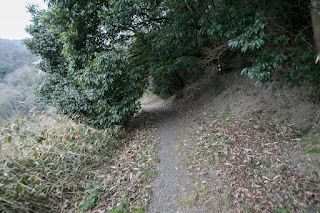 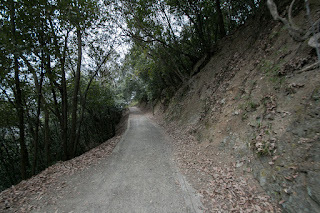 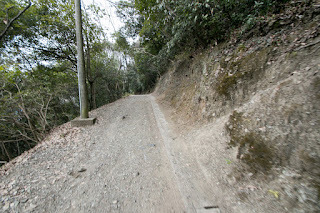 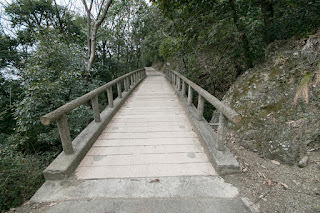 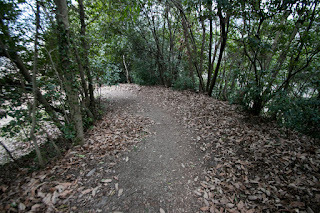 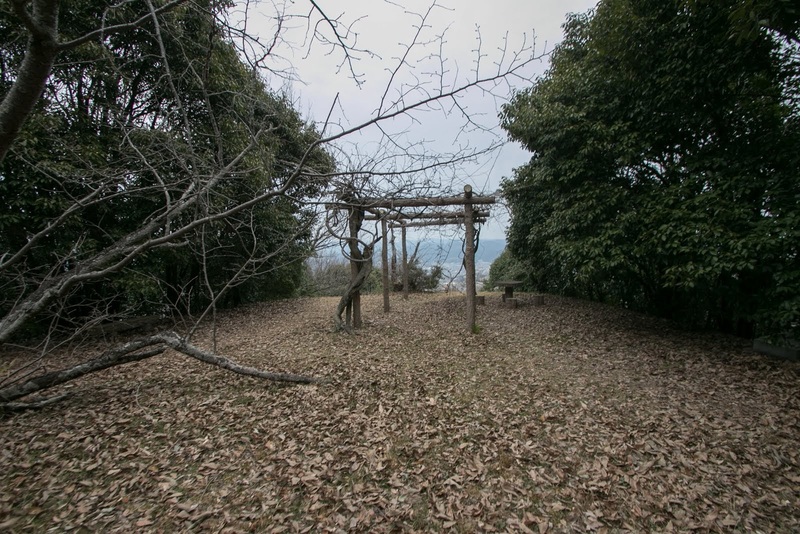 20 minutes walk from JR West Fukushio-sen line / Ihara Tetsudo line Kannabe station. 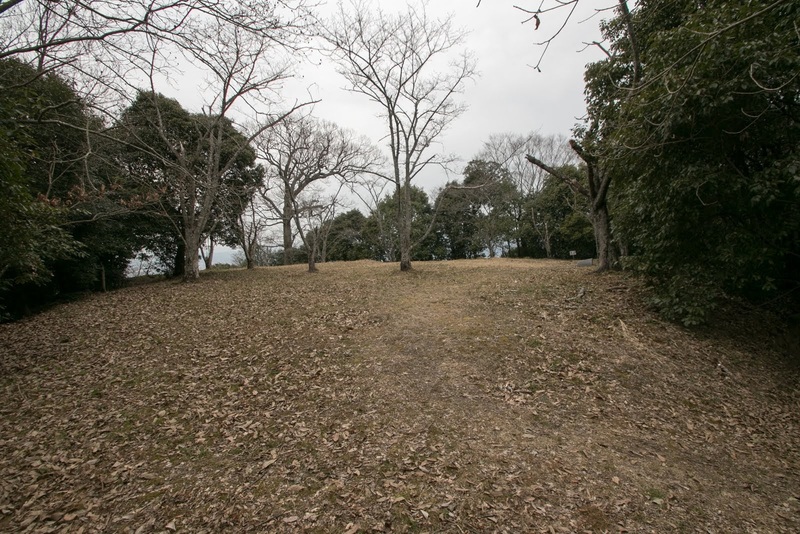 20 minutes drive from Sanyo Jidoshado Expressway Fukuyama-Higashi interchange to hilltop parking.